Our dictionary of common jewelry terms and descriptions with illustrations. Established in 1934, the American Gem Society, or AGS, is recognized by the jewelry industry as a consumer protection group dedicated to upholding the high standards of ethics and fair business practices of its member jewelers, appraisers and gemologists. Established in 1981, the American Gem Trade Association is recognized in the jewelry industry as an authority for grading precious colored gemstones and pearls. Akoya pearls are a cultured saltwater pearl farmed mainly in Japan and China, although Vietnam and Australia are also known producers. Small, perfectly round, highly lustrous and seen most commonly in shades of white featuring overtones of rose, cream or silver, the akoya pearls are considered the classic pearl type for necklaces, pendants and earrings. The pearls are cultivated in the pinctada fucata martensii oyster for a period of 12-16 months, on average, and range in size from 2.0-9.5mm. 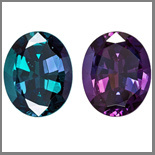 Alexandrite is a rare, precious gemstone that changes colors when exposed to incandescent or UV lighting conditions. Originally discovered in Russia and mistaken for rubies, this gemstone is named for tsar Alexander the 1st. Russia still has the finest examples of Alexandrite, which exhibit a color change from an emerald green to ruby red. Brazil is now the main producer of fine, high quality Alexandrite which displays a teal green to raspberry red color change. India also produces Alexandrite in a saturated teal green color, however Indian Alexandrite exhibits very faint to no color change properties. 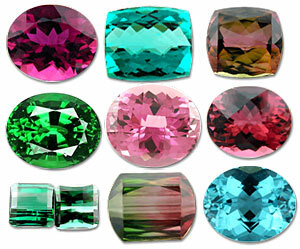 Alexandrite is an 8.5 on the Moh's Scale and belongs to the chrysoberyl gem family. An alloy is a mixture of two or more metals together to create both different colors and different purity levels of gold. 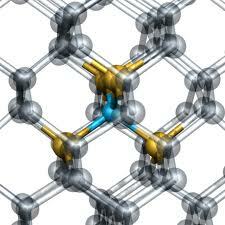 For example, white gold is an alloy of gold, nickel, palladium and zinc. 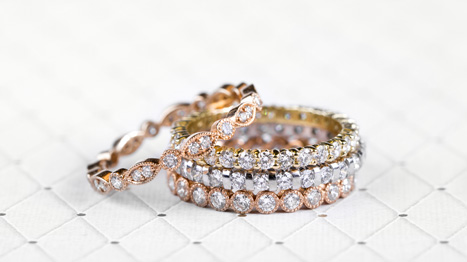 Rose gold is created by mixing gold and copper with silver. 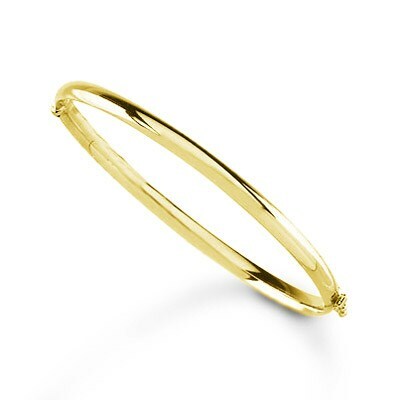 Because pure 24k gold is too soft to use in commercial jewelry, gold needs to be alloyed with metals such as zinc, silver and copper to make it stronger. The lower the karat weight of gold, the higher the content of metal additives in the alloy. Amber, like coral and pearls is one of the few organic gemstones formed from a living organism. 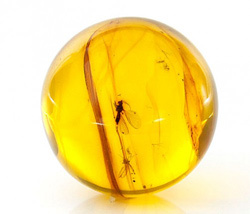 Usually found in colors from pale yellow to deep orange and red hues, amber is more rarely found in rare green and blue hues as well. Created from prehistoric tree resin that has fossilized over thousands of years, the most sought after examples often feature insects or small animals trapped inside. 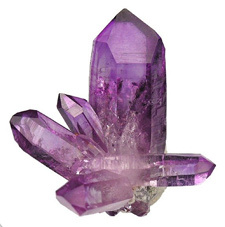 February's birthstone, amethyst, is a variety of quartz that has been mined all over the world; however the highest quality amethyst today is mined in Brazil. Featuring shades of deep royal purple to pale lavender, amethyst has been prized by royalty for centuries due to the color's symbolism. 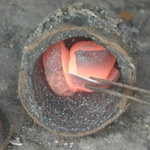 Annealing is the process of heating colored gemstones such as sapphire or ruby to enhance color. Heat treatments, commonly known as 'heating', has been used for centuries to enrich color and strengthen gemstones. It is a common practice within the jewelry industry. An appraisal is a written document with a detailed description of an article of finished jewelry or loose, precious gemstones, diamonds or pearls. Attributes such as carat weight, physical dimensions in millimeter sizes, color, enhancements (if any), inclusions and blemishes are all described for the purchaser. Often a picture is included for identification purposes. Appraisals are useful in determining the value to assign an item when insuring it against loss, theft or damage. Aquamarine, Latin for "water of the sea", is the birthstone for March. Ranging from very pale blue to deeper sky blue and sometimes greenish in color, the Aquamarine is a member of the beryl family of gemstones which also includes Emeralds, Morganite and Heliodore. 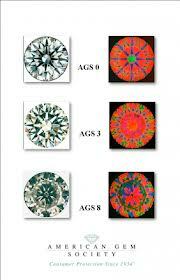 Its crystalline structure yields internally flawless gemstones regularly; inclusions in Aquamarines are rare. 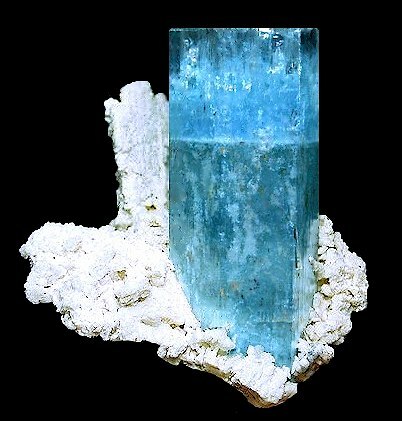 Mined all over the world, the most abundant sources are located in Brazil, although Russia, Burma, Pakistan and the United States have fine quality Aquamarine deposits as well. The crystalline form of calcium carbonate or nacre, aragonite is composed of tiny, microns-thin crystal platelets that are mostly translucent which are capable of reflecting and dispersing light waves into their rainbow spectrum. Aragonite in fresh and saltwater mussels is used to coat and smooth the inside of the shell as well as form pearls. Located in East Kimberely, Australia, the Argyle Diamond Mine is the world's largest producer of pink diamonds- over 90%; however only 5% of the mine's annual production are considered "gem" quality and suitable for jewelry use. Argyle diamonds also are found in champagne and cognac colors, which account for the majority of the mine's production, and also rare blue diamonds are also mined there. Assaying gold, silver or other precious metal is the process of chemically testing the purity or alloy mix of metals. The results of the test will determine which metal stamp, also known as a hallmark, will be stamped into the metal. Developed by Joseph Asscher in Holland, 1902, the Asscher cut was popular during the Art Deco period and has reemerged as an in-demand diamond cut due to its unique look. The Asscher cut diamond is a square variation on the emerald cut diamond utilizing step-cut faceting techniques, also named the Square Modified Emerald cut. Straight facets are tiered or cut parallel to each other to create a mirrored staircase effect. With the Asscher cut an easily recognized 'X' pattern can be observed in the center of the diamond. Step cut faceting places emphasis on the clarity and transaparency of the diamond, so high clarity grades are an important consideration when selecting an Asscher cut diamond. A baguette is a small, step cut diamond or gemstone that has been cut into a long, rectangular shape. A baguette can be either straight or tapered with one end larger than the other, and it is usually used as an accent to a larger center stone. 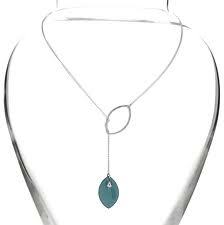 A looped or tear-drop shaped top to a pendant that slides onto the chain. The bale attachment to the pendant, rather than the chain, allows the wearer to switch chains easily. A wide, rigid bracelet that slips over the wrist, usually without a clasp. Some bangle bracelets feature a hinged opening, as shown. All payments made by bank wires will receive a 1.5% discount. This discount is offered due to the elimination of clearinghouse charges imposed by credit card companies. Wire transfer instructions will be sent via email after order confirmation. Baroque pearls are pearls that are asymmetrical in shape. Freshwater mussels produce the largest amount of baroque pearls, as the mussel is not nucleated with a spherical shell bead nucleus. 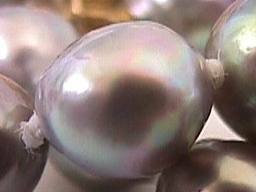 The most valuable baroque pearls are saltwater White and Golden South Sea pearls and black Tahitian baroque pearls. A type of pendant, earring or ring setting for diamonds or precious gemstones that features either open, pierced or decorative scrollwork on the sides that allows light to pass through, similar in appearance to a basket. A type of setting for diamond melee in which the stone setter drills small holes into the metal in which the gemstone will be placed; the excess metal around the rim is then heated and shaped into a small bead which is pushed over the very edge of the gem to secure it in place. 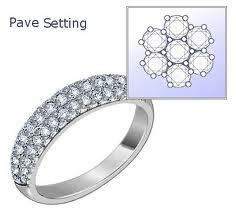 When an item of jewelry uses a lot of bead settings close together to cover the underlying metal to create a paved effect, the setting technique can then be termed pavé setting. Bearding refers to man-made abrasions found on a diamond's girdle caused by the diamond cutter applying too much force during the cutting process. Also known as girdle fringes or dig marks, the tiny hair-like lines extending from the girdle resemble a beard, and the lines can be polished off the surface. 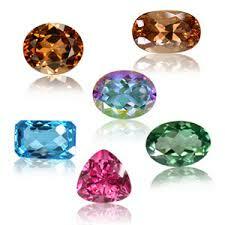 The mineral family that includes gemstones such as emerald, morganite, aquamarine and heliodore. 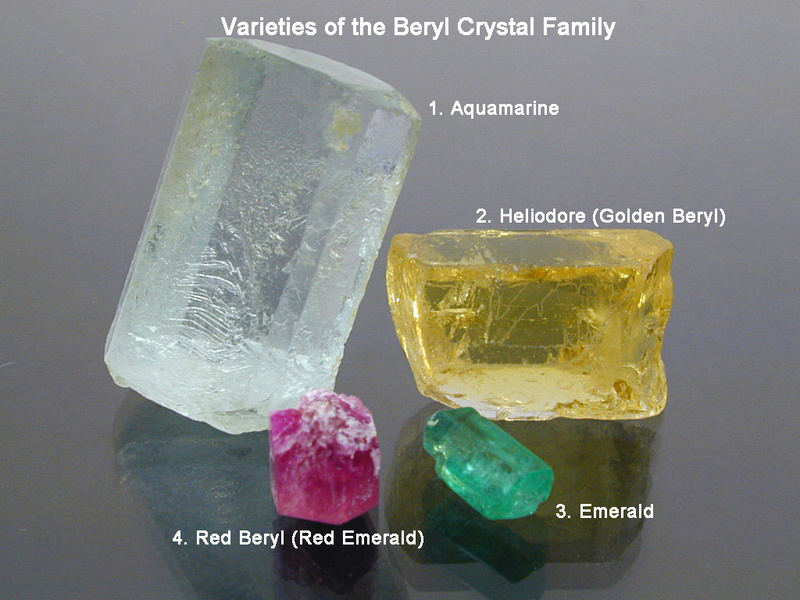 Beryl is often found colorless, with trace amounts of other minerals providing color; emeralds get their trademark green hues from trace amounts of chromium; red beryl gemstones (also known as red emeralds) gets their rich red from trace amounts of manganese; and aquamarines get their famous light blue and blue-green colors from a mix of chromium and iron. Beryls can be found all over the world, but the largest producing mines are located in Columbia, Brazil, Norway, Sweden, Ireland and localities within the United States including Utah, California, Colorado and New England. The Bezel Main refers to the primary 8 kite-shaped facets located on the crown of a brilliant cut diamond, also called bezel facets. A bezel setting is wrapping the girdle of the diamond or other precious gemstone in a cuff of gold or other precious metal. The bezel features a rim of metal that covers the edge of the gemstone and protects it from chips and other wear and tear. 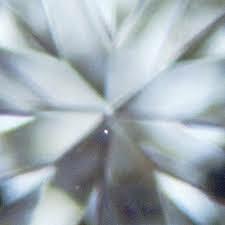 A blemish on a diamond is a flaw found on the surface of the diamond rather than its interior. Scratches, abrasions and naturals classify as blemishes. The term blemish also refers to flaws on a pearl's surface. Common pearl blemishes include wrinkles in the nacre, divots, pin pricks and chalky areas. Body Color refers to the main color of a pearl. Pearls can be white, black, grey, pink, peach, lavender and gold, with other variations existing in between. Tints or hints of an overlying color, referred to as 'overtone', are also observable as a 'halo' visible on the edges of the pearl. 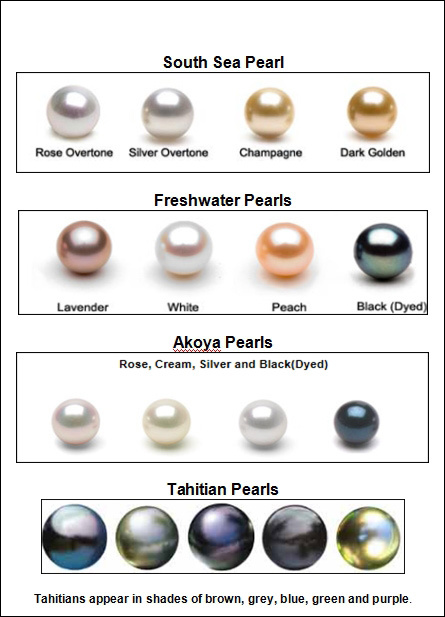 The main body color is always used first to describe a pearl's color; for example, an akoya pearl would be described as being white with rose, silver or cream overtones. The natural element found in natural Type 2B blue diamonds; boron absorbs red light from the spectrum, giving the diamond a blue tinge. Other elements that can influence a diamond's color is nitrogen, which is responsible for yellow, pink, orange and brownish colors. Bort are industrial grade diamonds used for diamond drills and saws, surgical knives, lasers and more. A bow tie is an optical shadow effect seen in some fancy shape diamonds like the marquise, oval, pear and heart shapes. The bow tie looks like a man's black bow tie in the middle of the diamond and is due to a misalignment of the pavilion facets causing some to not catch reflected light and appear dark. Very stark bow ties are considered to negatively impact the overall look of the diamond; however, minimal bow ties can actually make a diamond appear brighter and more fiery by creating contrast between the dark and light areas of the diamond. A box chain is a gold or silver chain made up of closed, square links tightly woven together to form a smooth, shiny chain. 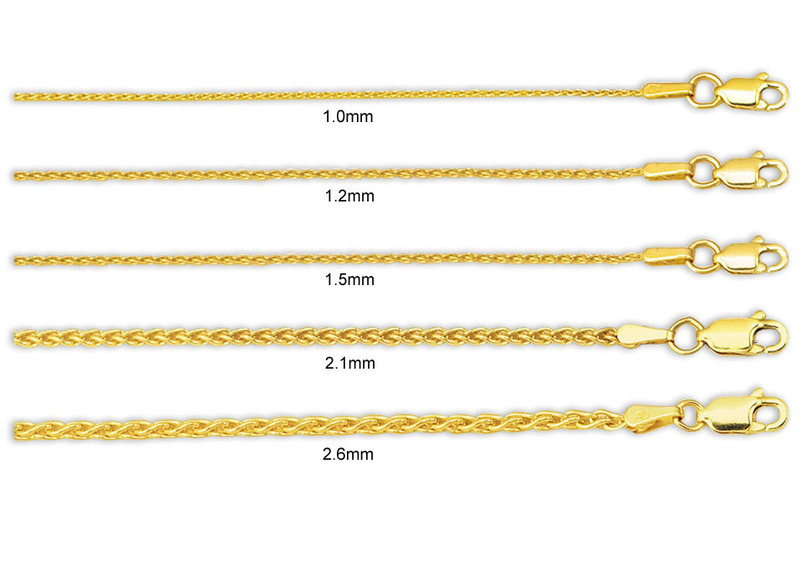 It is the second most durable chain after the wheat chain, and it features four sides that are highly reflective. Brightness in a diamond refers to the reflection of white light that is returned to the viewer through the top of the diamond. Also called 'brightness', brilliance refers to the white light reflected up through the surface of a diamond. Brilliance is maximized by cutting a diamond to the correct proportions. Originally developed by diamond cutter and mathematician, Marcel Tolkowsky in 1919, the brilliant cut is a diamond with 58 facets precisely arranged to maximize light return, scintillation and fire. 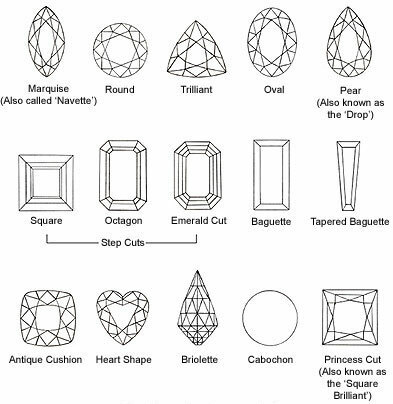 Brilliant cut diamond shapes include rounds, pears, ovals, radiants and hearts. 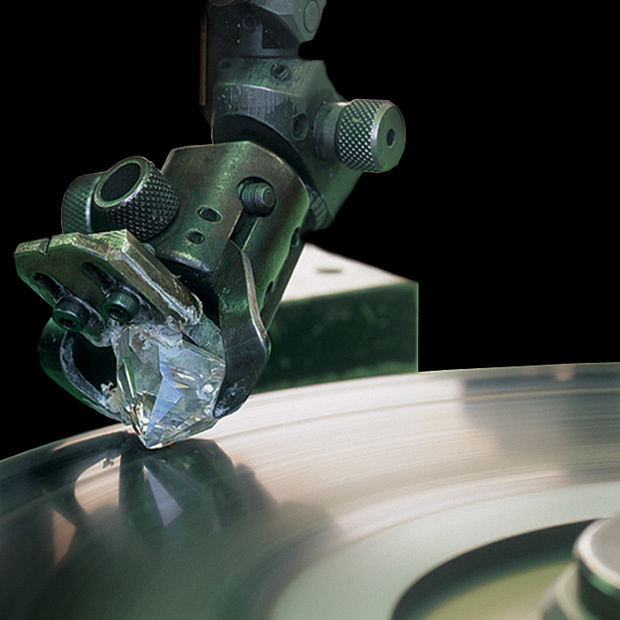 One of the final stages of the diamond cutting process; brillianteering refers to the placing and polishing done on the remaining 40 facets of a brilliant cut diamond. Specifically, brillianteering adds 24 facets to the crown of the diamond, 8 of which will be star facets, and 16 facets to the pavilion. A briolette is a tear-drop shaped, faceted gemstone, usually drilled through the top so the gem could be suspended from a chain or other item of jewelry. Featuring triangular facets, the briolette is also known as a "drop-cut" gemstone. 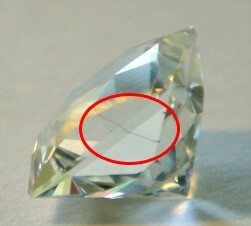 A hit or concussion on the surface of the diamond that leaves tiny hair-like fractures extending below the surface, similar to bearding or girdle fringe. 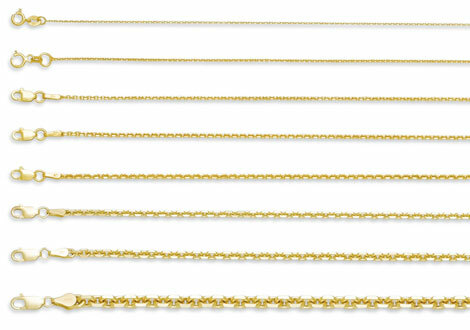 A gold or sterling silver chain made up of open, interlocking oval or circle shaped links. A style of gem cutting featuring a smooth, polished dome top and flattened bottom. Popular gems that are commonly fashioned into cabochons include star sapphires and star rubies, onyx, jet, coral, moonstones and opals. The term cabochon originated from the French term "caboche", which meant "knob" or "small dome". 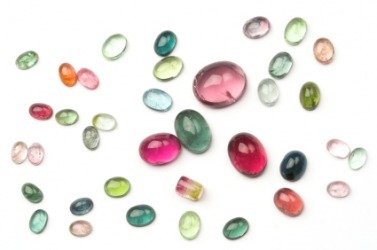 Cabochon gemstones can be cut into nearly any shape; however, oval is the most prevalent. Calcium carbonate (CaCO3) is the crystalline mineral that makes up the shells of oysters and freshwater mussels; it is also commonly found in rocks, egg shells, snail shells and pearls. 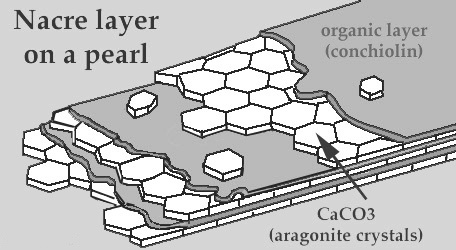 A key ingredient in pearl nacre, calcium carbonate is the white crystalline aragonite layer which is layered concentrically with organic conchiolin, which is a brownish organic "glue" that holds all the layers together. Calibrated sizes refers to specific, standardized sizes of various gemstone shapes that are mass-produced for commercial jewelry purposes such as round, oval, emerald cut, pear shape, and more. 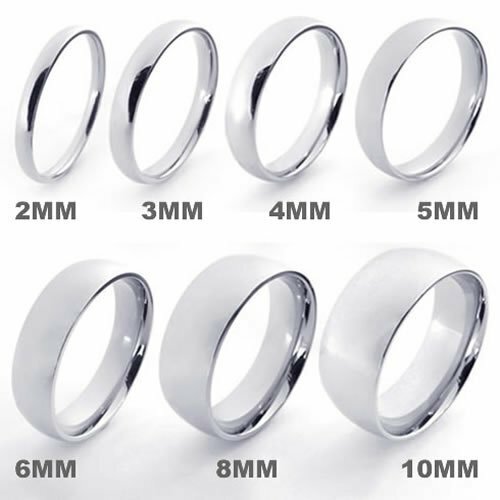 Common calibrated sizes for ovals, pear shapes and emerald cuts would be: 6x4mm, 7x5mm, 8x6mm, 9x6mm, 10x7mm and so on. 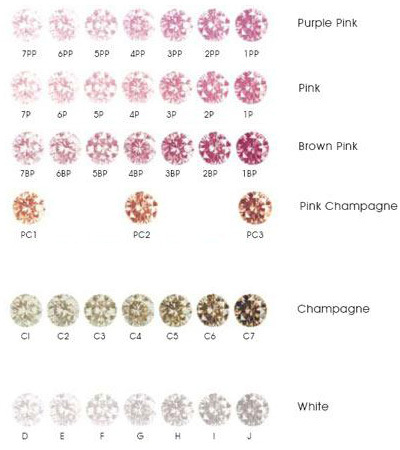 Round gemstones feature calibrated sizes starting at 1.0mm and generally can be found in whole and half increments, for example, 2.0mm, 2.5mm, 3.0mm, 3.5mm and up. 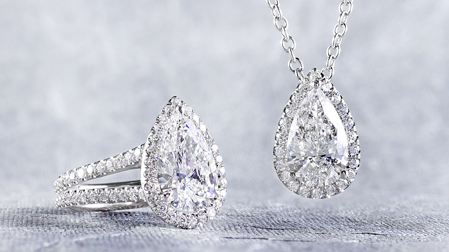 Candlelight diamonds are another name for the cushion cut. So named because these diamonds were cut and polished by hand before the advent of electric lighting, and they were meant to show off their sparkle and fire by candlelight. Carat is the unit of weight used to measure diamonds and precious gemstones. One carat is equal to 200 milligrams, or 0.2 grams. The term carat originated from the Greek word "keraton", or the "fruit of the carob", which refers to the seeds borne by the carob tree that grew throughout the Mediterranean region. Carob seeds were thought to be uniform in size and weight, and consistently weighed about 200 milligrams. The modern metric carat was adopted in 1913 in the United States, and this rapidly spread throughout the rest of the world as the standard unit of measurement for diamonds, gemstones and natural pearls. 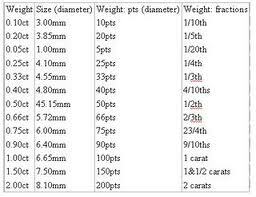 Carat weight can be expressed with several different terms or abbreviations. 'Cttw',' ct.tw', 'carat total weight' and 'total carat weight' all refer to the total carat weight of all the diamonds in a ring combined. 'Ct. ', 'cts' or 'carats' refers to the carat weight of a particular diamond. A cavity is a small dent, hole or indentation in the surface of a diamond or precious gemstone resulting from an inclusion near the surface being dislodged during the cutting and polishing process. Cavities are usually very small and only visible under 10x magnification, and they do not often affect the clarity rating of a diamond. The photo at right depicts a tiny pin hole diamond cavity on the surface of a diamond's table. 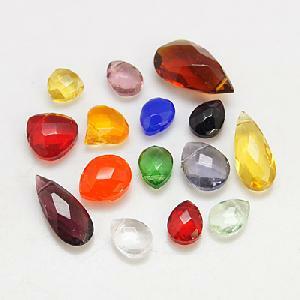 The prominent, main gemstone in an item of jewelry, usually a ring, set with other diamond or gemstone accents. Channel set refers to the setting of gemstones in a grooved channel between two bars of metal. The stones are set flush to each other. The second most commonly found chemical element in gemstones, chromium can turn certain gemstones various colors. In emeralds, chromium turns the colorless beryl gemstone green, and for rubies, chromium can turn this corundum gemstone its trademark red. 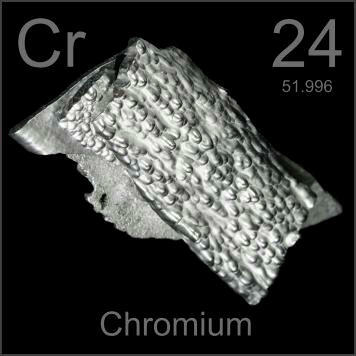 The chemical symbol for chromium is Cr. Chrysoberyl is a transparent to yellowish-green crystal found mostly in granite and composed of the mineral beryllium aluminate. 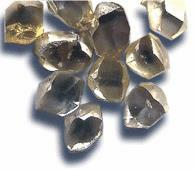 Chrysoberyl is not related to the beryl family of gemstones which produces emeralds despite the similarity of the names. 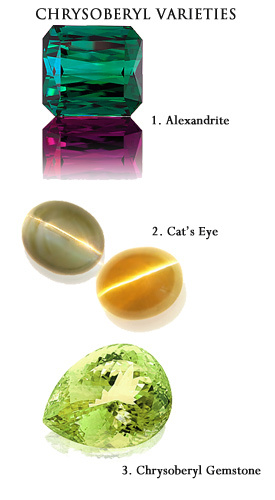 Chyrsoberyl has three gemstone varieties: greenish-yellow chrysoberyl, the color-shifting alexandrite and cemophase or cat's eye chrysoberyl. It rates an 8.5 on the Moh's Scale of Hardness and is ideal for jewelry of all types. FL - Flawless: Contains no inclusions observable by a gemologist under 10x magnification. 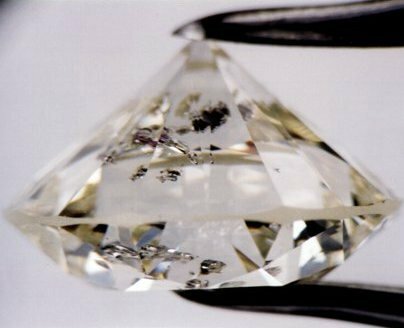 IF - Internally Flawless: No inclusions visible by a gemologist under 10x magnification, but may feature tiny blemishes on the surface of the diamond. VVS1 & VVS2 - Very Very Slightly Included: Internally clean, with inclusions extremely difficult for a gemologist to locate under 10x magnification. VVS grades are split into two categories, VVS1 and VVS2, with VVS2 being ranked lower. A good example of VVS inclusions are tiny pinpricks or transparent needles. VS1 & VS2- Very Slightly Included: Clean to the untrained observer, inclusions are somewhat difficult for a gemologist to locate under 10x magnification. 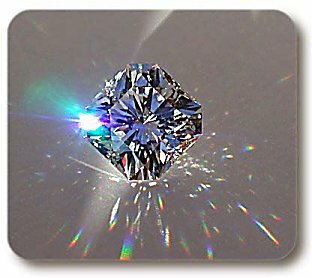 A good example of a VS diamond inclusion would be a transparent crystal or feather hidden in a corner or under the crown facets. VS grades are split into two categories: VS1 and VS2. SI1 & SI2 - Slightly Included: Slightly included diamonds can feature small inclusions visible to the naked eye upon up-close, careful examination; however this is not always the case, and many SI diamonds present as eye-clean to the untrained observer (clean to the eye from a distance of 6-inches or less). A gemologist will spot internal flaws easily under 10x magnification. SI grades are split into two categories, SI1 and SI2. Common inclusion examples would be pinpricks, specks of carbon, feathers, crystals or needles. 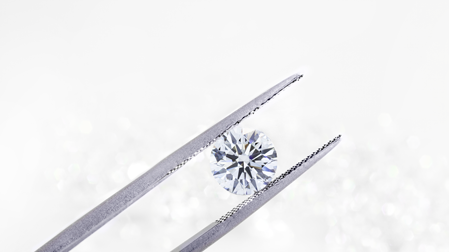 I1, I2 and I3 - Included: Included diamonds display inclusions and blemishes visible to the naked eye, and are easily detectable to a gemologist with or without magnification. The I grades are divided into three categories. I1 diamonds display inclusions visible to the untrained observer. 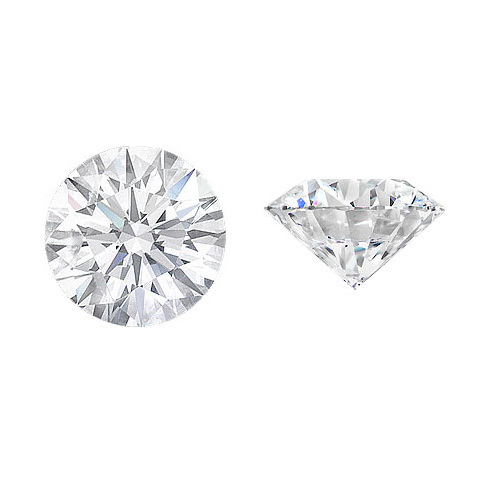 I2 diamonds are also large and easily observable while I3 diamonds feature inclusions that are large, easy to spot to even a casual observer and may threaten the durability of the diamond. An internal imperfection which runs in the direction of the grain of the diamond. It sometimes extends to the surface of the diamond or is "healed" inside the diamond . A cluster of microscopic white or crystalline inclusions or pinpoints inside a diamond. The rounded finish on the inside of a ring's band. This design does not pinch the skin of the finger as much as other ring bands and provides comfort for constant wear. 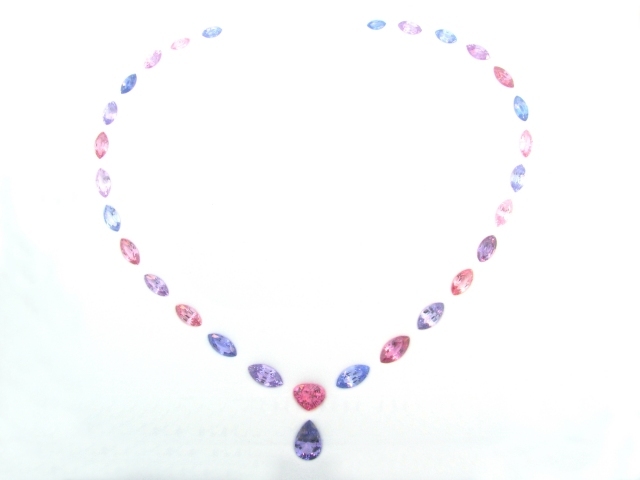 A rare, precious crystalline form of aluminum oxide that includes the precious gemstones ruby and sapphire. Trace elements such as iron, chromium, titanium, copper and magnesium imbue corundum with colors such as blue, pink, yellow, red, green and more. For example, chromium elements will create the rich red of ruby or the paler pink of pink sapphires or padparaschas. Iron will produce pale to saturated yellows, and iron mixed with trace amounts of titanium will create the coveted blue sapphires. Corundum rates a 9 on the Moh's Scale of Hardness, which means that it is very difficult to scratch; aside from jewelry, corundum has a variety of industrial uses such as watchface crystals, abrasives, scientific lenses for microscopes and various electronic components. The photo at right depicts rough corundum in both sapphire and ruby form waiting to be heated, cut, and polished. The upper facets a gemstone starting from above the girdle and surrounding the table. Colored light escapes through the crown in the form of fire. 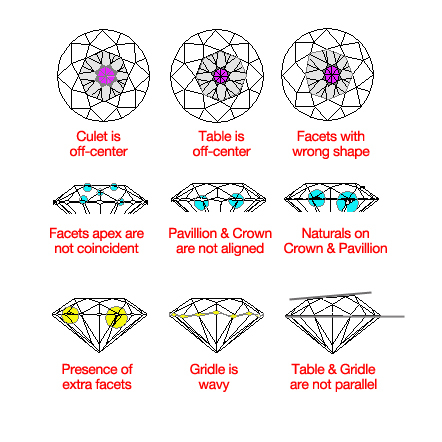 Individual crown facets include star facets, kite facets, the upper girdle facets, and the table. A facet on the very bottom of a diamond. If the culet is medium to large and the diamond is viewed from the table, it will look like there is a hole in the bottom of the stone. Similar to a cable chain, but with flattened oval or round links. Cushion cut diamonds are a variation on the Old Mine Cut and are modified brilliant cut diamonds that feature a square to elongated rectangular shape with rounded corners. The traditional 58 facets are present, although the cushion cut diamond features a larger than average table, allowing for more fire or scintillation to reflect back at the viewer. They are less brilliant than the modern round brilliant cut. Cushion cut diamonds are also known as pillow cuts because of their rounded corners. Still another name for them is candlelight diamonds due to the fact that these hand-cut diamonds were fashioned when there was no electric lighting, so the main purpose of this cut was to maximize their fire and sparkle by candlelight. Generally, cut refers to both the shape of a stone (round, marquise, princess cut, oval, etc.) 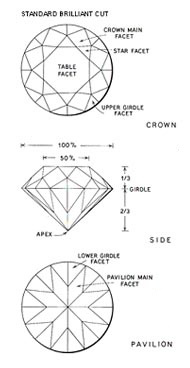 and the proportions and finish of a diamond also known as "make". The make of a stone is the most important factor in determining how much sparkle comes from a diamond. 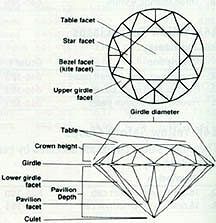 Depth percentage is a calculation used to determine how deep or shallow a diamond's pavilion is relative to the height of the gem. Diamonds with too deep of a depth percentage allow light to "leak" out of the bottom, making the diamond appear dark or dull (these are often called nail heads in the jewelry industry); diamonds with too shallow of a depth percentage allow light to leak out of the sides, robbing the diamond of it's brilliance (these cuts are often called fish-eyes). 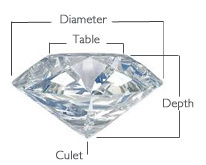 To calculate depth percentage, divide the total height of the diamond, from table to culet, by the diamond's total diameter. For example, if a round diamond's total height is 5.6mm and the diameter is 10.0mm, then the depth percentage would equal 56%. Diameter is the full measurement of a diamond, gemstone or pearl taken at it's widest part. Diameter is always expressed in millimeters; jewelers use calipers or a millimeter gauge to determine the diameter of a gem. A diamond is a rare, precious mineral found deep within the earth, usually in kimberlite pipes and other alluvial deposits. The hardest substance on earth, diamonds are formed from pure carbon being subjected to intense pressure and heat over a period of millions of years. 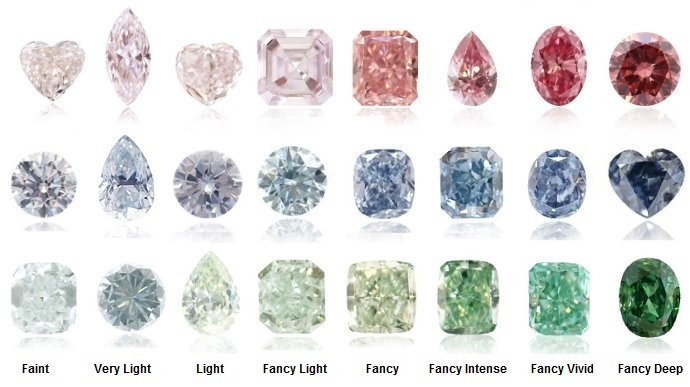 Usually transparent and featuring tints of yellow, brown, blue, green and pink due to mineral impurities, the most valuable diamonds are completely colorless as these gems allow light to pass through the interior and disperse into the spectral rainbow. dust and lasers. Diamond is also April's birthstone. A Diamond Dossier is a GIA lab certification for diamonds weighing under 1 carat. 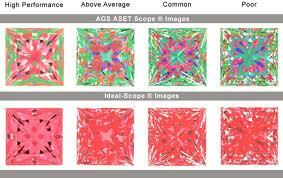 The report has no diamond clarity plot; however the diamonds are laser inscribed. Dispersion describes how white light is broken into the spectral rainbow while it is inside a diamond. European Gemological Laboratory. Widely respected in the trade offering independently grading certificates. Emerald is a precious gemstone known the world over for its rich green hues. Part of the beryl family, chromium is the mineral element that lends emeralds their famous green colors. 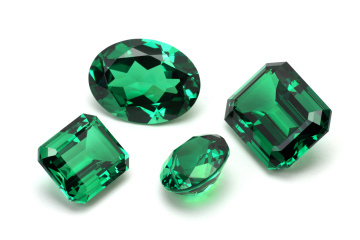 Emeralds rate an 7.5-8 on the Moh's Hardness Scale, making these gems highly suited for jewelry use. Emeralds were originally mined in India, Egypt and Austria; however Columbia, Brazil and Zambia are now the biggest producers, with Columbia producing anywhere between 50-95% of all the world's emeralds depending on the year's harvest. Emeralds are the birthstone for the month of May. A fancy diamond shape that is generally rectangular in appearance and features tiered step cut faceting to create a "hall of mirrors" effect. 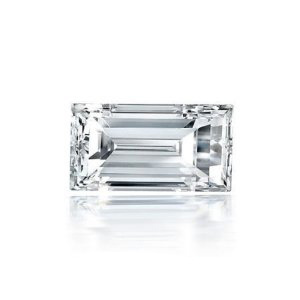 Emerald cut diamonds showcase the clarity, whiteness and luster of the diamond over fire and scintillation. An enhancement is a commonly accepted treatment employed by jewelers and cutters to enhance the look of a gemstone, such as heat treating Sapphires to bring out color. 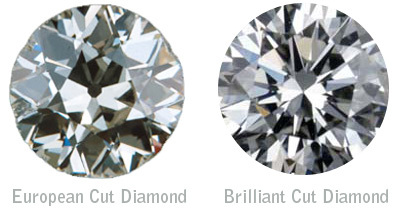 The European cut diamonds are the predecessors of the modern round brilliant cut. These diamonds feature a full 58 facets, a high crown, large culet and deep pavilion; however these diamonds were still being cut by hand, so the symmetry of the facets is often imperfect. 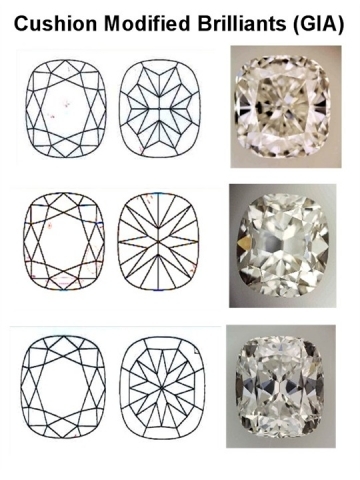 Similar to the old Mine cuts, except that the European cuts are round rather than squarish in shape; both of these diamond cuts were the standard for diamond cutting until they fell out of favor during the 19th century due to the advent of better cutting technology. Eye clean is a jewelry industry term used to indicate whether a diamond, gemstone or pearl is clean to the eye; for pearls, eye-clean is from a distance of 6-inches or more. A diamond that has no inclusions visible to the naked eye. A common, naturally occurring white feather shaped inclusion, which is not visible to the naked eye. Colored light reflected from within a diamond. Fire is maximized by cutting a diamond to the correct proportions. A glow, usually of a bluish color, which emanates from certain diamonds when exposed to ultraviolet light. Faint fluorescence usually does not affect the appearance of a diamond. 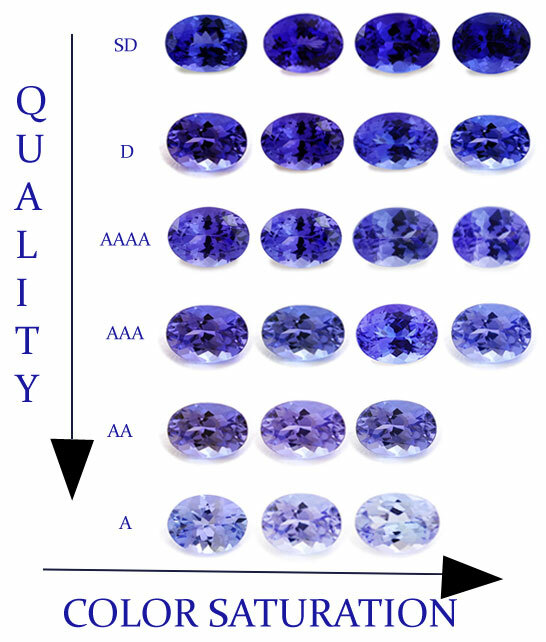 Strong, very strong, and sometimes medium blue fluorescence may slightly improve the color appearance of diamonds rated "H" in color or below (I,J,K etc). Describes the four main areas of diamond grading which includes carat weight, diamond cut, diamond clarity, and diamond color. An internal or external imperfection which may have developed three million years ago or last week as a result of trauma (usually a hard impact). Freshwater pearls are most commonly cultivated in man made lakes, ponds and reserviors in China. Composed of solid crystalline nacre, freshwater pearls are very durable and ideal for commercial jewelry use. The pearls are grown in the Hyropsis cumingii and Hyriopsis schlegeli freshwater pearls mussels for a period of 1-3 years, and the pearls are available in natural shades of white, pink, peach and lavender. Pearls may be round, off-round, drop and button shaped, oval-ish and heavily baroque or asymmetrical in shape, and range in size from 4.0-12.0mm. Garnets are a precious to semi-precious gemstone found in many types and colors; the most famous garnets include pyrope, tsavorite, almandine and grossular garnets, and their most recognized colors are deep burgundy red, bright green and shades of orange, although garnets come in every color of the rainbow including black, blue, pink and even color change varieties that turn from purple to green in incandescent lighting. Found all over the world, the majority of today's garnets are mined in South America. The word garnet originated in the 14th Century, England "gernet" which translates to mean "dark red", and from the Latin term "granutus", a direct reference to their word for pomegranate, "pomum granatum". Gemological Institute of America, the single most widely accepted diamond authority. An independent, third-party grading service offering diamond grading reports. The outermost edge of a diamond, the girdle can be unpolished, polished, or faceted. 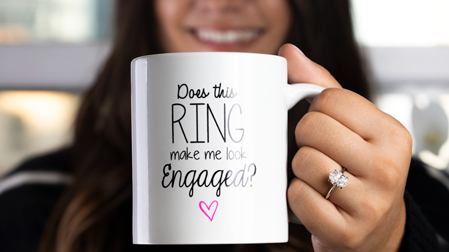 Usually where the diamond is held in a setting. A gemstone enhancement that utliizes melted glass or hard plastic that is used to fill cracks, fissures or cavities on the surface of the gemstone. 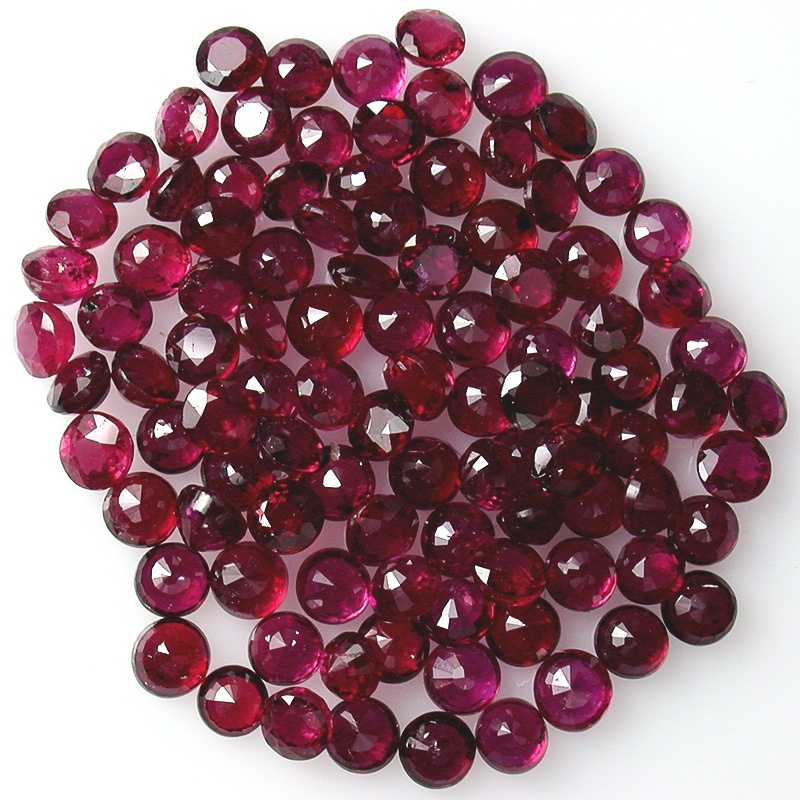 Most often done to poor quality rubies to enhance clarity and luster, glass filling (also known as fracture filling) is not considered a natural treatment, and it must be disclosed as this type of treatment conceals gemstones that could easily fracture or shatter with only light bumps. Gold is a warm yellow metal found in the earth. Extremely malleable, gold is well-suited for jewelry as it never rusts, corrodes or tarnishes like silver. As pure 24k gold is too soft for every day wear, gold is often alloyed with other metals such as copper, nickel and palladium to make it harder, more durable, and scratch resistant. Gold jewelry is stamped or hallmarked with a metal purity stamp denoting how much actual gold is in the alloy; common stamps are 22k, 18k, 14k and 10k. Many European countries prefer to use a three digit number in lieu of the karat stamp, so common numbers seen on European jewelry are 750 (18k) and 580 (14k). 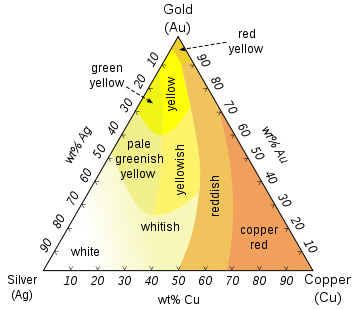 Gold can also be alloyed with other metals to affect a color change; copper is added to gold to create rose gold, nickel is used to turn gold a white, silver color. Other unusual gold colors include green, black, and purple. 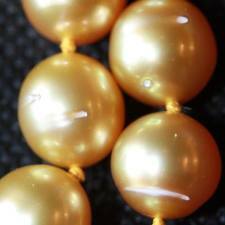 Golden South Sea pearls are some of the most rare cultured pearls in the world. Cultured primarily in the Philippines in the Pinctada maxima, golden-lipped oyster, these pearls are known around the world for their natural golden colors which can range from a saturated 14k tone up to the most rare and collectible 24k gold tone; common overtones are bronze, green, rose, aquamarine and neutral. These pearls are also known for their large sizes, which range from 8.0-20.0mm but more often average between 11.0-15.0mm. 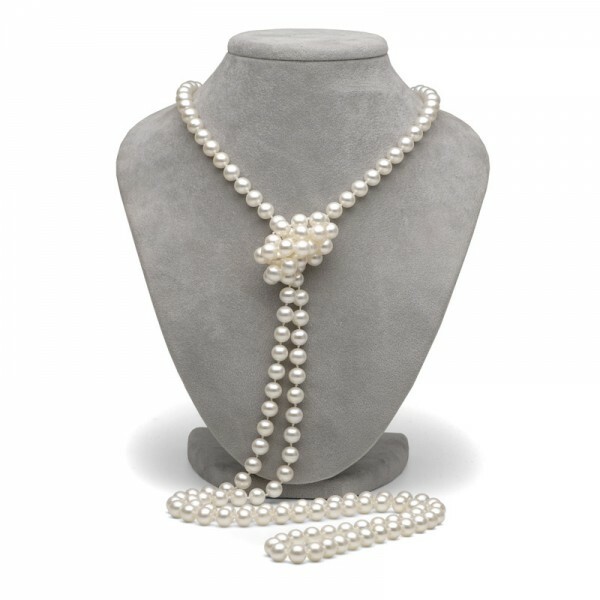 The golden mantle or lip of the oyster is what imbues these pearls with their trademark color. A diamond grading report is a blueprint of the diamond. It describes, maps, and grades everything about the diamond including: proportions, color, clarity, shape, cutting style, carat weight, location, size, and type of inclusions, fluorescence, and other lab comments. It does not state the retail value of the stone. An appraisal is needed to confirm the full market retail value. Graduation or graduated in jewelry refers to a strand of pearls or other precious gemstones that is laid out with the smallest pearl or gemstones near the clasp, gradually increasing in size to the largest pearl or gemstone in the center section. A grey girdle occurs when the diamond cutter opts out of faceting or polishing the girdle, usually on oval or emerald cut diamonds. Hallmark refers to the metal stamp found on jewelry denoting metal purity. Common stamps are 14k, 18k, 22k and .925, but may also be displayed as a series of numbers denoting the purity of the metal such as 585 for 14k, which means that the gold is 58.5% pure. 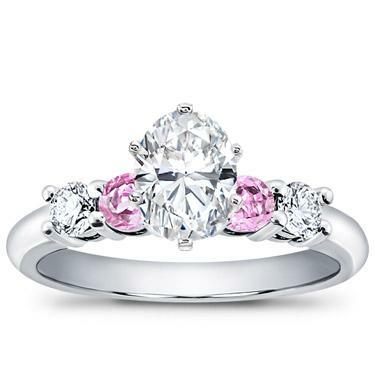 The part of the setting that holds the center stone or solitaire in place. A fancy diamond shaped like a heart. 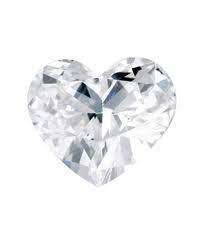 Heart shapes were originally pear-cut diamonds but the diamond cutter cuts a small notch in the rounded end creating two symmetrical lobes. A modified brilliant cut, this diamond shape provides plenty of brilliance and fire. 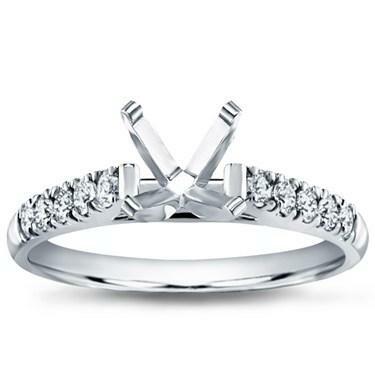 Hearts and Arrows refers to the pattern visible inside an Ideal cut diamond. 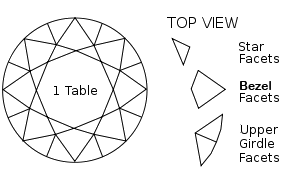 When viewed through the table, the diamond will display arrows, and when viewed through the pavilion (bottom), the diamond will display hearts. 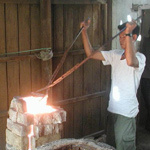 Heating is the process of enhancing the color of some precious gemstones such as ruby or sapphire. 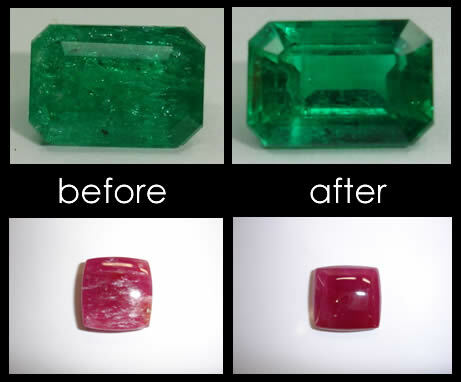 The treatment consists of heating the rough gemstones to a temperature of 1600 degree Centigrade, allowing internal inclusions, chemical elements, and other impurities to melt down and reform themselves so that the gemstone appears cleaner and more intense in color (or even a different color altogether). Heat treatments are considered a natural enhancement to gemstones as this process has been around for centuries and does not harm the integrity of the gemstones. Unlike some gemstone enhancements, heat treatments are irreversible. Common gemstones that undergo the heat treatment process are: sapphires, rubies, tanzanite, amethyst, aquamarine, citrine, tourmaline, and topaz, among others. The primary and secondary colors of a gemstone; for example, an emerald may be a blue-ish green or yellowish green hue. 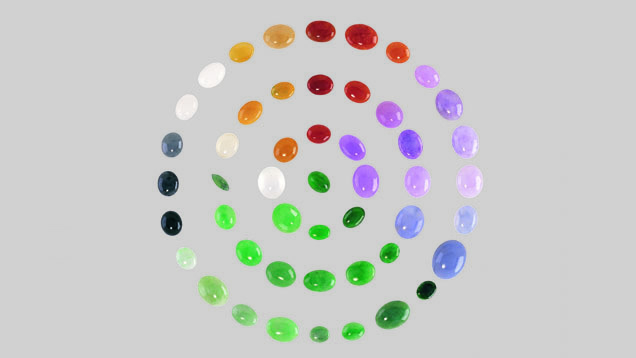 There are six primary hues: red, orange, yellow, green, blue, and violet; any of these colors can be mixed with another to produce a new hue. 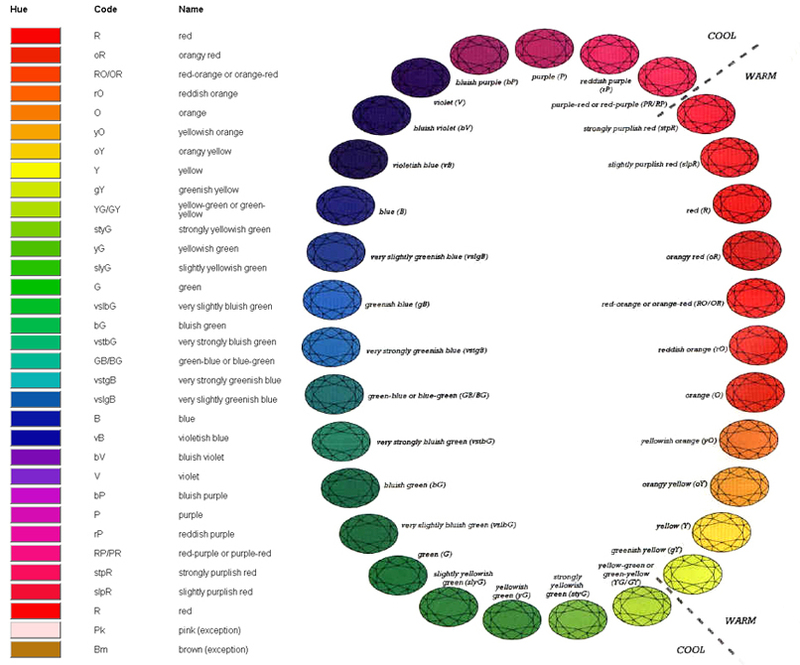 GIA lists up to 31 different hues on its grading reports. Both black and white have no hue at all and are termed achromatic- literally without color. 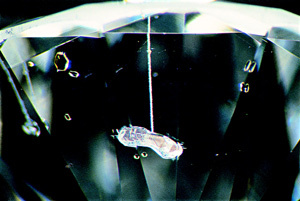 An independent diamond or other mineral crystal forming within a larger diamond; included crystals are a common occurrence. The image at right depicts garnet crystals caught forming with a diamond, which are also fairly common. A naturally occurring imperfection often referred to as a feather, pinpoint or cloud in the diamond that may or may not be visible to the naked eye. 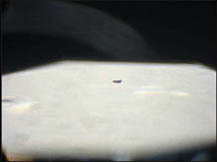 Inclusions visible to the naked eye are usually graded SI2 clarity and below. 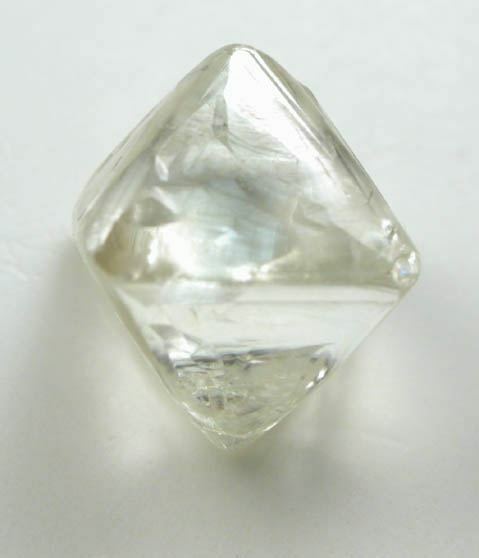 A concave or dented pitted area on the diamond's surface that is still part of the original rough diamond; it is left unfaceted (to retain the diamond weight) and unpolished. Indented naturals can be considered blemishes depending on their size and location. Many indented naturals have a triangular appearance or parallel grooves. Industrial diamonds are non-gem quality diamonds used for commercial purposes, typically cutting or abrading surfaces. As much as 80% of all diamonds mined yearly are sold for industrial uses. Because diamonds are the hardest material on earth, industrial diamonds can be used to cut, polish and abrade any other material imaginable including other diamonds. Common uses for industrial diamonds are diamond-tipped saws, surgical scalpels, diamond knives and even crushed diamond powder is used as an abrasive, similar to sandpaper. Invisible set refers to a particular square cut of stone which has been cut with slats that are fitted into a metal grid formed by the mounting's undercarriage. Each stone is "snapped" into its rail. Two or more row styles may be fashioned in this manner to emphasize an "all diamond" look. The stones on the outside are usually channel set in the mounting. A deriviative of the popular channel setting, the invisible setting features two or more rows of diamonds or gemstones placed next to each other without any metal between them to present the illusion of a solid "wall" of diamonds to the wearer. The outer row will have an even layer of gold laid over the top edge of the outer gem to secure it in place, and the diamonds are all set from the underside of the mounting to ensure a seamless placement. 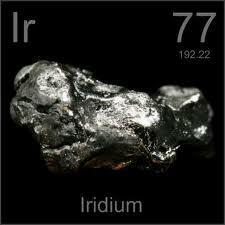 Iridium is a hard white metal commonly used as an alloy for platinum. 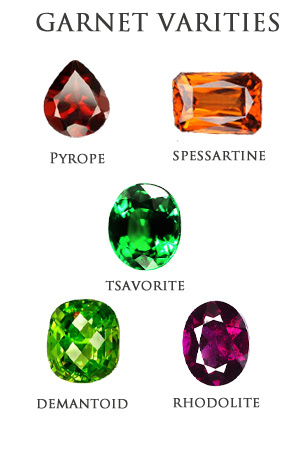 The most common mineral element found in many gemstones that turn colorless varieties shades of purple (amethyst), red (garnet), yellow (topaz) and green (chrome diopside). Iron also interacts with titanium to give sapphires their shades of blue. 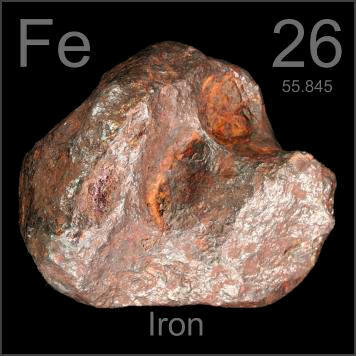 The chemical symbol for iron is Fe. Jade a hard semi-transparent stone that has been revered in China and elsewhere for centuries. Actually two types of minerals, jadeite and nephrite, jade in the pure jadeite form is very rare. When it displays a deep emerald green color, we call it Imperial Jade today. Jade displays a range of color but is best known for its shades of green. Other colors include lavender, yellow, reddish-orange, white and black. Both jadeite and nephrite rate a 6.5-7 on the Moh's Scale; despite it's low scratch rating, jade is incredibly tough due to it's interlocking layered crystalline structure. Jade is most often carved into cabochons, cameos and sculptures. The Jeweler's Board of Trade is a credit rating and informational directory that releases an annual edition of all member jewelers in the United States. Jet is fossilized coal. 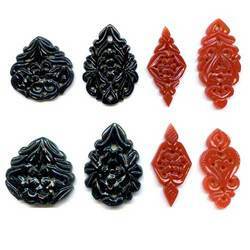 Famous for it's lustrous, pure black color, jet was used in Victorian-era mourning jewelry (when Queen Victoria's husband, Prince Albert died, she went into a period of extended mourning, and mourning jewelry was en vogue), and continues to be used today, mostly in cabochon cuts. Jet rates a 2.5 on the Moh's Scale of Hardness, and it leaves a brownish streak when scratched against another surface; jet is also warm when touched, and when heated will smell like coal. The best jet in the world has been mined since prehistoric times in Whitby, England. A purity measurement for gold. Pure 24k gold is too soft for commercial jewelry use, so it is mixed with other metallic alloys to create a harder, more durable metal. 24k gold is pure gold (100% gold), 22k gold is 91.6% pure gold- it's hallmark or metal stamp will be 916 or 22k. 18k gold is 75% pure gold, and the hallmark will be either 18k or 750. 14k gold can be either 58.5% pure gold or 58.3% pure gold depending on the alloy mix, look for a metal stamp that is either 14k or 585 or 583. 10k gold is 41.7% pure gold, so the hallmark will be either 417 or 10k. 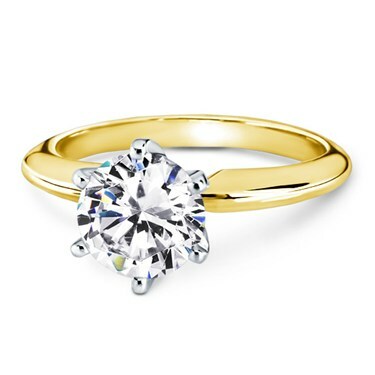 Adiamor only uses either 18k or 14k gold for our engagement rings and jewelry settings. The hard volcanic rock occuring deep within the earth in verticle structures known as kimberlite pipes. Famous for bearing diamonds, kimberlite also brings garnets and peridot to the earth's surface. Named after a town in South Africa after one diamond bearing kimberlite bore a 83.5 carat diamond in 1871. A knot is a small diamond crystal within the diamond that protrudes from the surface of the larger diamond. Lamproite is a type of diamond-bearing volcanic rock. 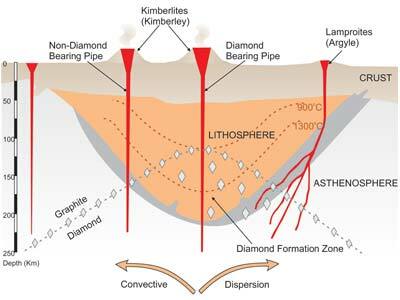 Previously only kimberlite was thought to bring diamonds from deep within the earth to the surface; however the 1979 discovery of the Argyle Mines in Western Australia have caused geologists world wide to re-examine known deposits of lamprolites for diamond caches. So far, the Argyle Mine is the only known source of lamproites bearing diamonds; it is also the world's largest producing mine of rare fancy pink diamonds. A type of necklace with no clasp. Two loose ends are instead wrapped around the neck with one end threaded through the other to secure the necklace in place. Describes a microscopic drill shaft extending from the surface to inside the diamond; this phenomenon is found when a technician employs a laser to get near an inclusion within the diamond, after which an acid solution is used to remove or lighten the inclusion within. 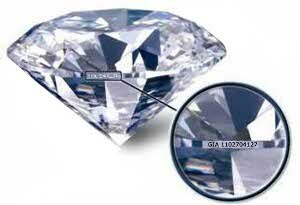 An identification mark, serial number, SKU or brand name etched into the girdle of a diamond via laser. Laser inscriptions are so small and fine most require a jewelers loupe to discern. A layout in jewelry is used to describe either the potential placement of diamonds, gemstones or pearls in a necklace or bracelet design- the gemstones are "laid out" on a form or piece of paper so that the designer can make alterations to the design before mounting them into place permanently. In diamond cutting, the term layout describes how a diamond cutter views or lays out his plan for cutting the rough diamond into various shapes. Leakage refers to the light that escapes through the pavilion rather than being returned to the viewer. 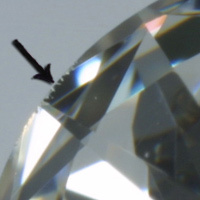 Leakage occurs when a diamond is cut too deeply in the pavilion. The length to width ratio is a formula used to determine how wide or elongated a fancy cut diamond or gemstone will appear to the viewer. Divide the length of the diamond by it's width (in millimeters) to determine it's ratio; for example a Princess Cut diamond with a length of 6.25mm divided by it's width of 6.05mm will give you a ratio of 1.03, which will appear perfectly square to the eye. 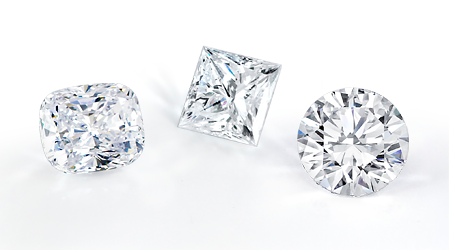 Round diamonds are nearly always a ratio of 1.0, but can range as high as 1.02- round diamonds that stray too far from the 1.0 figure will begin to appear slightly oval in shape and is indicative of a poor cut. 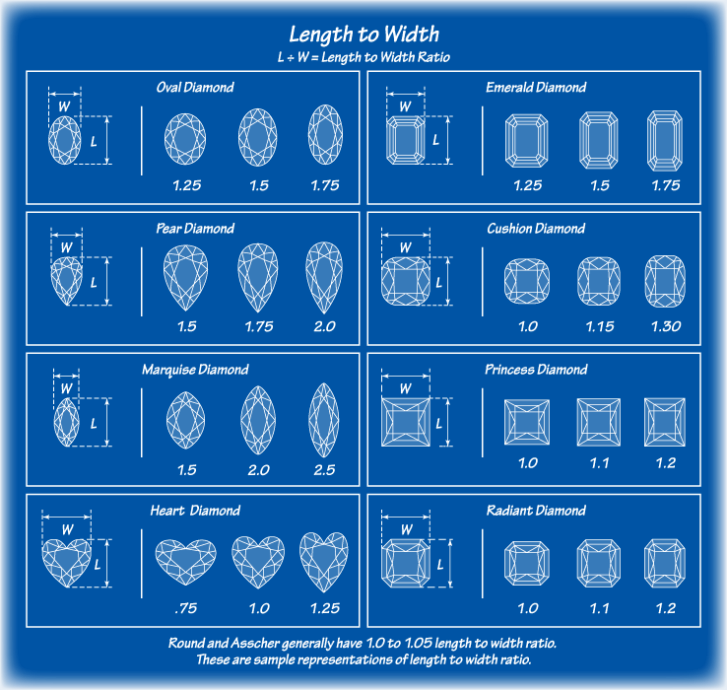 Visit our Diamond Shapes page to learn more about specific Length to Width Ratio proportions for each shape. Light performance describes how much light or brilliance is returned to the eye when a diamond is viewed from the top. Light performance makes up part of the Cut grade of a diamond by GIA and AGSL, and takes into account how much brilliance (white light), fire (spectral rainbow light) and scintillation (light bounce or movement from facet to facet within the gem) the diamond displays when viewed straight down and from side to side. A loupe is a hand-held magnification instrument used by jewelers and gemologists to inspect the interior of diamonds and gemstones. 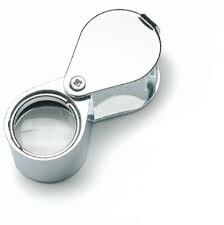 The standard loupe is 10x magnification. Lower girdle facets are 16 in number and are located on the upper portion of the diamonds pavilion, directly abutting the girdle and move completely around the diamond's circumference. The lower girdle facets are located directly next to the pavilion mains (main pavilion facets) to create more reflective surfaces for light to refract and reflect off of, creating more brilliance within the diamond. Lower Half Length describes a specific portion of the bottom of a diamond extending from the girdle to the edge of the pavilion's main bottom facets. Note that the lower half length stops above the very bottom of the diamond and does not include the culet. 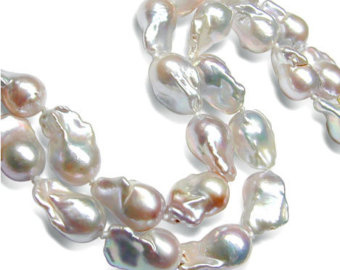 Mabe pearls are half-pearls or blister pearls cultured on the inside of the mollusks' shell. 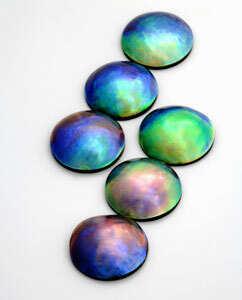 Once harvested, the half pearls are cut out of the shell and given a smooth mother of pearl backing, sealed with epoxy. Abalone mabe pearls are pictured at right. 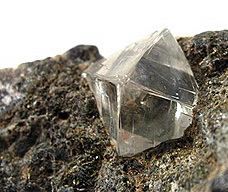 A mutation of the diamond crystal in the rough in which the crystal grows in two different directions simultaneously, similar to a twin. 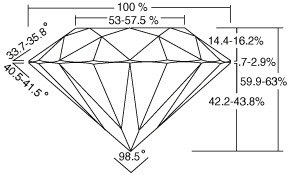 The proportions to which a diamond has been cut. A good make will have proportions that maximize the brilliance and fire of a diamond. A poor make will lead to a diamond that has little sparkle due to the inability of the cut to properly reflect light. 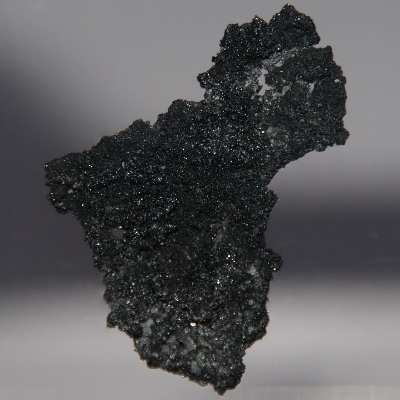 A metallic coloring agent found in many gemstones; manganese is highly magnetic. Manganese gives many garnet and tourmaline gemstones varieties their many colors such as pink, red, magenta, purple and orange. 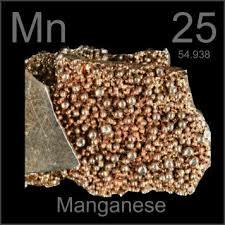 The elemental symbol for manganese is Mn. 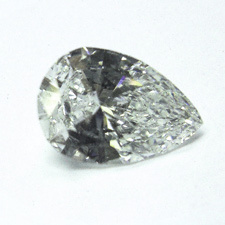 A modified brilliant cut fancy shape diamond; the marquis is also known as the "navette" cut which means "little boat" in French due to its unique appearance. Commissioned by King Louis XV in Paris, 1745, to resemble the smile of his mistress, the Marchionesse Madame de Pompadour who was said to be stunningly beautiful, and an advisor to the king. Marquis cut diamonds feature 58 brilliant cut facets to maximize fire and sparkle, although they are prone to the "bowtie" effect- simply that some facets in the center of the pavilion fail to reflect light properly and at some angles can appear like a gentleman's dark bowtie. 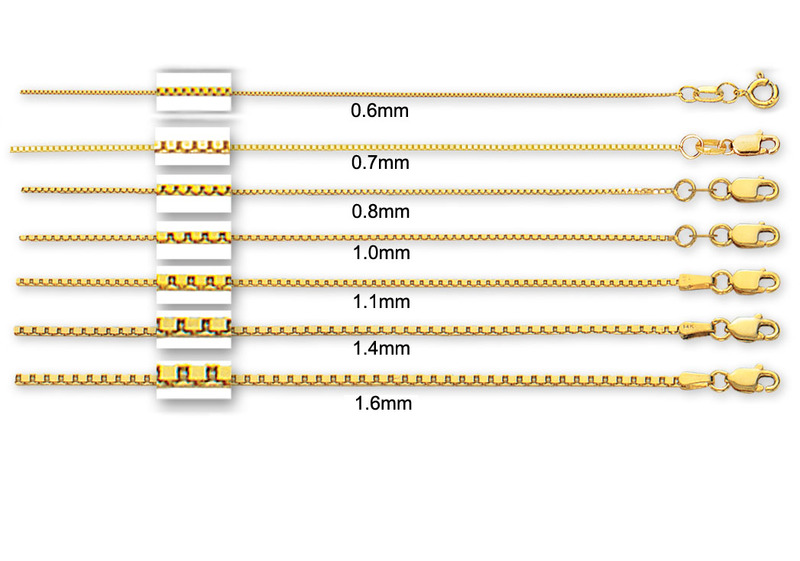 Recommended length to width ratios for marquis cut diamonds range from 1.75-2.25 for a traditional shape, although it is subject to personal taste. Matrix refers to the rock or mineral that fossils, crystals and gemstones are found embedded in; also known as the "parent rock". 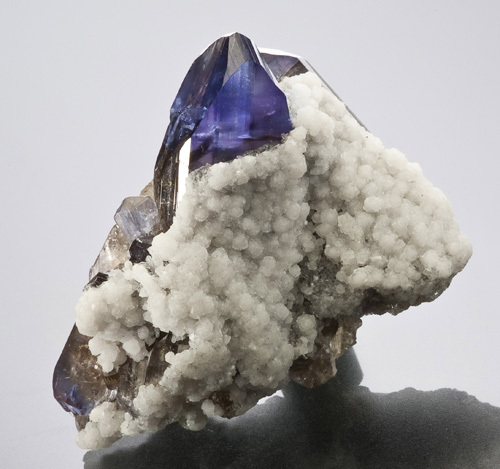 Shown at right is a tanzanite crystal embedded in calcite crystals, and a large aquamarine crystal embedded in a matrix of albite. Diamonds or gemstones which weigh less than 1/5 of a carat (20 points) are known as melee. They are usually side diamonds or accent diamonds in a larger piece of jewelry. Pictured at right is a lot of round-but ruby melee. Three metals are generally used in fine jewelry: gold, platinum, and silver. The unit of measure used to determine a pearl's diameter, equal to about 0.04 inch. Old mine cuts are the original brilliant cut diamonds and the forerunner of the antique cushion cut. Invented during the 17th century, when diamonds were still cut by hand, the old mine cut features a crown, pavilion mains, star facets and so on, however these diamonds have fewer facets than the modern round brilliant, and were more often squarish in shape. Old mine cut diamonds are distinguishable by their high crown, deep pavilion and large culet. 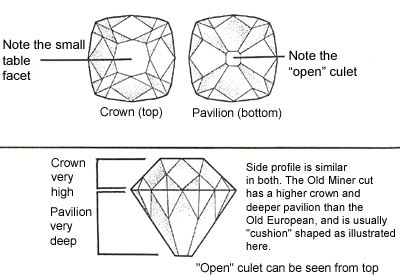 Official description for brilliant cut fancy shape diamonds. 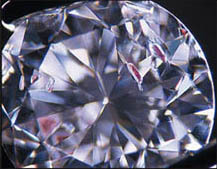 Ovals, pear shapes, princess cuts, cushion cuts and others are diamond shapes that are cut using the round brilliant template of 58 facets with the angled crown and pavilion in order to maximize brilliance and fire; additional facets are added to these shapes in order to maintain their brilliance and sparkle, as elongated or off-round shapes alter the way that light reflects and refracts within the diamond. The Moh's Scale of Hardness was invented by the German geologist, Friedrich Mohs in 1812 and is used to measure the scratch resistance of various gemstones. The scale ranges from 1 (softest) to 10 (hardest). Nacre is an organic-inorganic mineral secreted by the epithelial cells found in the mantle tissue of a mollusk which both coats the inside of the shell and also makes up the crystalline structure of a pearl. Nacre is composed of calcium carbonate (CaCO3) and aragonite crystalline platelets, interspersed with organic glue, also known as conchiolin. The mollusk continuously layers both the inside of its shell as well as any irritants trapped inside with this material to form both a hard, protective covering for its soft body as well as to smooth over any irritants trapped inside. 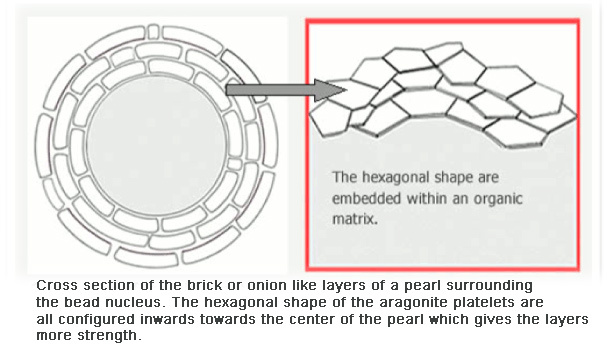 The resulting structure resembles an onion or a brick wall with alternating layers of aragonite and conchiolin creating an incredibly strong, flexible and beautiful matrix. Nacre gets its iridescence from light striking and penetrating the surface of the semi-transparent aragonite crystals, and absorbing and refracting certain wavelengths of the light spectrum. An external characteristic on or near a diamond's girdle, a natural is actually an unpolished portion of the "skin" of the rough diamond. The navette cut is a fancy diamond shape better known as the marquise cut, and the term literally means "little boat"; as the diamond shape resembles a small boat to many. Originating in Paris, France around 1745 the navette cut was commissioned by King Louis XV to create a diamond that was shaped like the mouth of his mistress, the Marchionesse Madame de Pompadour. The navette cut's faceting has evolved over the centuries to become the modified brilliant cut with the fire and brilliance of a round diamond you know today. 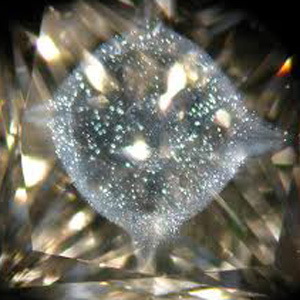 A type of long crystalline inclusion commonly found inside a diamond. 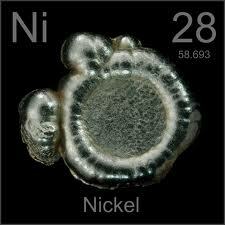 Nickel is a silvery-white metal commonly used as an alloy to create white gold and stainless steel. 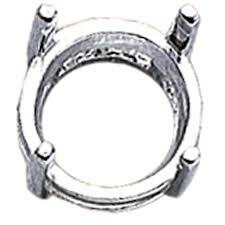 It is non-corrosive and resists tarnishing, making it ideal of metal plating and alloys. It's symbol on the periodic table is Ni. 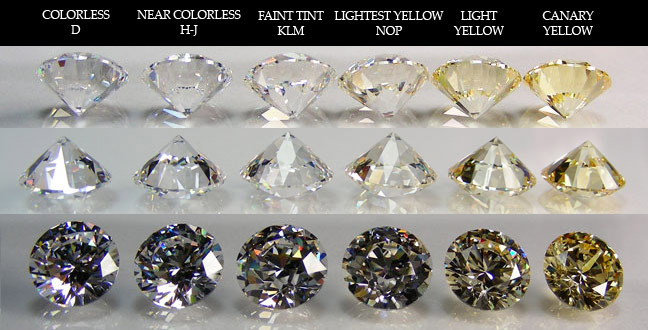 The impurity that can cause a yellow or green tint in diamonds. Nitrogen absorbs both the blue and violet spectral colors of light, thus presenting the viewer with the yellow hue. Nitrogen exists within the atomic structure of the diamond, as few as 100 nitrogen atoms per 1 million carbon atoms can cause a diamond to appear colored. 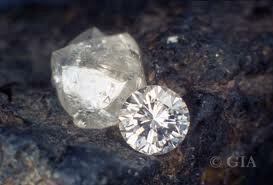 It has been established that close to 99% of all recovered diamonds have nitrogen within them. The image at right depicts nitrogen atoms (yellow) interfering with the crystalline carbon structure of a diamond crystal. Noble metals are rare metals found within the Earth that are naturally resistant to oxidation, corrosion and rust. The list of noble metals includes: platinum, palladium, silver, gold, aluminum, iridium, osmium, ruthenium and sometimes mercury. 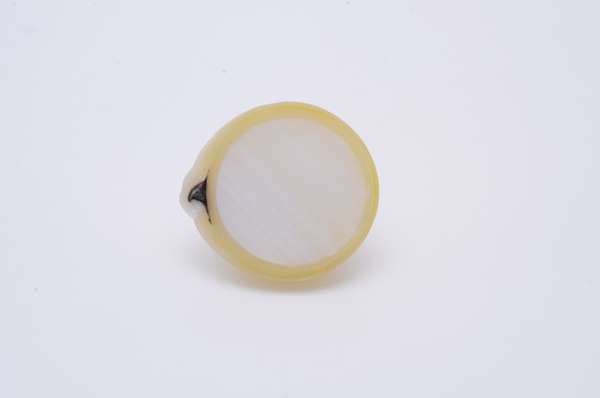 The round mother of pearl bead used to stimulate pearl formation within a mollusk, and provides a round 'template' for the mollusk to begin coating with layers of nacre in forming a round pearl. Made from the thick white shell of the American pig-toe freshwater mussel found in the southern United States, the very best nuclei are a solid, uniform white color and are used for saltwater akoya pearliculture. Beads that feature discoloration and striping are utilized for saltwater Tahitian and South Sea pearl culturing due to these pearls' thicker nacre layers. Obsidian is volcanic glass formed from molten lava that cooled so quickly that no crystalline structure had time to form inside. 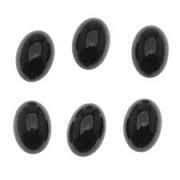 It is most often black and very shiny, obsidian can be smoothed and polished into mirrors and cabochons for jewelry use and surgical instruments such as scalpels due to obsidian's ability to retain extremely sharp cutting edges. 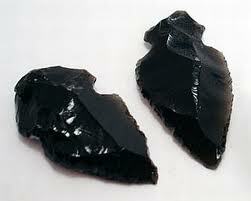 The illustration at right shows primitive obsidian arrowheads such as the Native Americans used to use. Describes a rough diamond's original crystalline form with 8 facets or sides; symmetrical in shape, the octahedral diamond crystal looks like two pyramids joined at their bases. 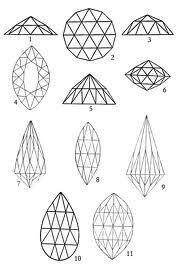 The faces or facets of the octahedral crystal. Oiling is a gemstone enhancement commonly used with emeralds which have many natual fractures and fissures within it's structure. The oiling of emeralds is considered standard operating procedure; only the rarest, finest emeralds do not have any surface fissures that will keep oil from penetrating it's interior. Immediately after mining, rough emerald crystals are thrown into a barrel of oil to absorb the substance, and oil is used during the cutting and polishing process as well. Old cut diamonds refer to diamonds that were cut and polished before the advent of the modern round brilliant cut diamond in 1919. Old cuts feature larger and fewer facets- the hall of mirrors effect in the pavilion is absent- giving diamonds a glimmering brilliance rather than the sharp scintillation we often take for granted today; this was due to the tools available at the time, but also the mathmatical theories that allowed the modern round brilliant cut to come onto the market was not yet invented. Old cuts can also be referred to as European Cuts, Old European Cuts, Rose Cuts, Mine Cuts, Old Single Cuts and Single Cuts. Old Mine Cut diamonds refer to diamonds that were cut and polished before the advent of the modern round brilliant cut diamond in 1919, and are the forerunner of the modern round brilliant. 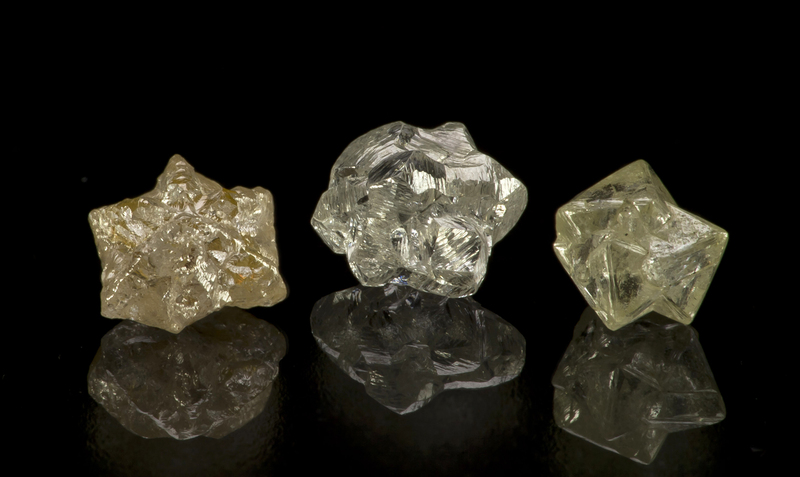 Old mine cuts feature the crown, star facets, pavilion, girdle and culet, however these diamonds have larger and fewer facets because these diamonds were cut and polished by hand before the advent of modern cutting technology. These larger facets imbue the diamonds with a glimmering brilliance rather than the sharp scintillation we often take for granted today. Old mine cuts are usually more squarish in shape than rounded, and have led to the modern cushion shape today. A type of chalcedony quartz, black onyx consists of alternating black and white bands of color; other varieties of onyx are found in every color of the rainbow. Onyx rates a 7 on the Moh's Scale of Hardness, making it highly suitable for commercial jewelry purposes. It is often carved into cameos or polished into cabochons for pendants, rings and earrings. Opals are a semi-precious gemstone composed of silica and water. Water combines with a certain kind of silica and drips into cracks within the Earth. Over a period of millions of years, as the water alternately drips and evaporates over the silica, the material hardens and begins to take on color, which can range from white to blue, green, red, orange and black, with white and green colors being the most common. The iridescence of opals is due to the semi-transparent silica spheres which both reflect and refract light at various wavelengths of the spectrum; opal is capable of refracting every color of the rainbow. The most prized opal colors are black opals from Australia which display a dark blue-black body color with intense flashes of rainbow. Milk opal or white opal is the most common, featuring a white body color with multi-colored flashes of rainbow. Fire opals are yellow, orange and red and are typically semi-transparent with little to no iridescent color play, although strong flashes of green may be observed. The largest producer of opal in the world is Australia which supplies 97% of the world's opals. Opal is October's birthstone. Refers to any longer necklace that measures between 28 and 40-inches in length, although the measurements vary from jeweler to jeweler. 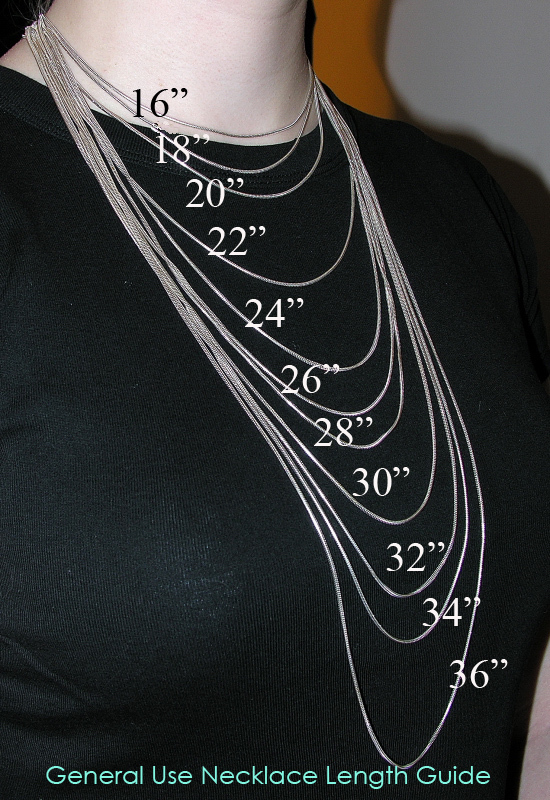 The most commonly acknowledged measurement is 36-inches; an opera length necklace should rest below the bust. 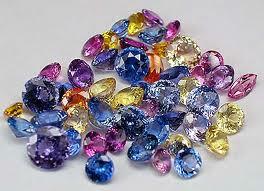 Organic gemstones are precious minerals formed by living organisms. 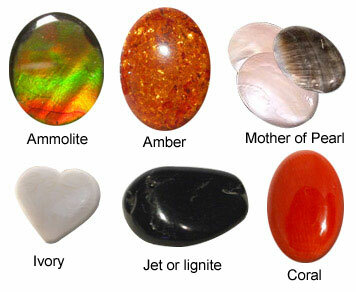 Examples of organic minerals are: coral, amber, pearls and jet. Orient describes the iridescent, soap-bubble effect visible shimmering on the surface of a pearl. Orient is an attribute of the pearls brought about by the thickness and denseness of the nacre layers; when nacre layers are particularly dense and thick, the crystalline aragonite platelets become compacted, so when light hits the surface of the pearl, it breaks up and begins refracting off the various crystalline layers, scattering the white light beam into its various spectral colors, similar to fire in a diamond, but softer. A variation on the round cut diamond, an oval diamond shape features an elongated table and brilliant cut faceting in the pavilion and on the crown. Oval cut diamonds accentuate long, slender fingers and often appear larger than their carat weight would imply due to the elongated shape and larger table. While not as fiery as the round brilliant, oval cut diamonds have a greater degree of light return, and so are more brilliant than round diamonds. 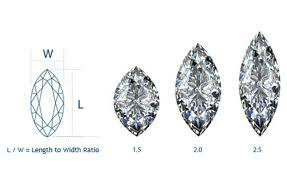 Suggested length to width ratio for well-shaped oval cut diamonds ranges from 1.33-1.66. 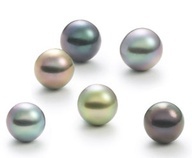 The secondary tint of color visible in both pearls, usually seen as a corona or halo around the edges of the pearl. The most common overtones for white pearls are Rose white is a slight to deep pink hue, Silver which has a faint blue and green cast which creates a bright white tone, and Cream which can best be described as a tinge of french vanilla. Overtones for black Tahitian pearls span the entire rainbow. The most popular overtones for Tahitian pearls are Peacock which is a mix of green, gold and rose, Blue-Green, Green and Aubergine (eggplant purple) with many more to numerous to list. 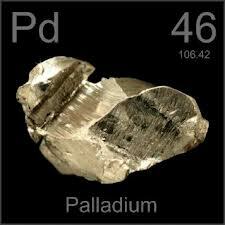 Part of the Platinum group of metals, palladium is hypoallergenic, pure white metal that never changes color. Palladium is often used as an alloy in platinum, but stands on its own as a less expensive and more lightweight alternative to platinum. 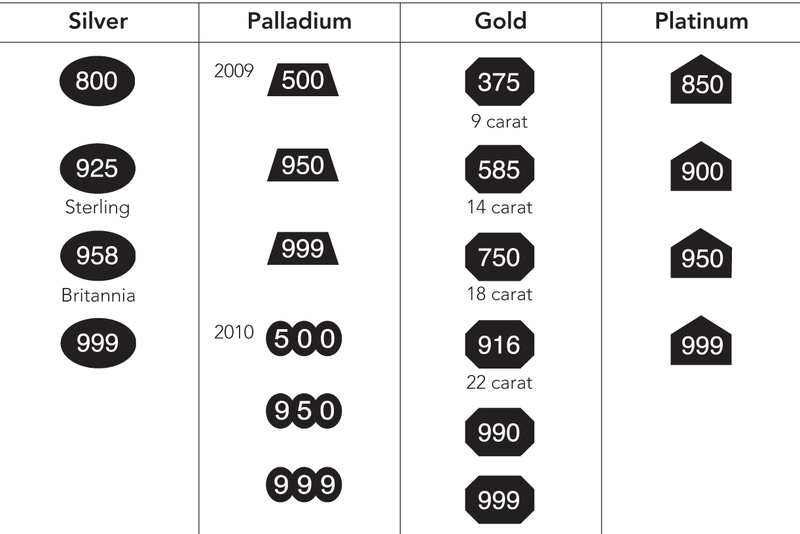 The hallmark stamp for palladium is "Pall 950", meaning that the metal is 95% pure palladium, and 5% alloy metal. A patina is a satiny matte-like sheen on a metal, particularly platinum, that develops over time through daily wear and tear and small scratches. 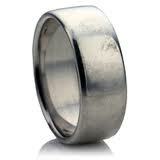 The patina on a platinum ring is desired by many people; however, it can easily be polished out by a jeweler. Pavé settings feature diamonds or gemstones set very closely together to create the illusion of a surface "paved" with gems. 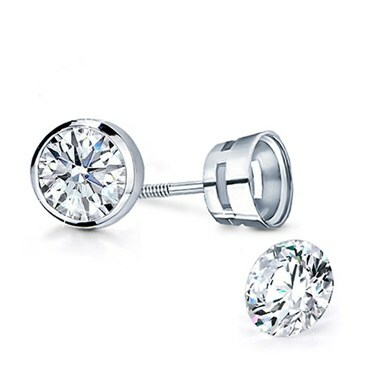 The diamonds are set into small holes drilled into the metal, and metal beads or prongs are pulled up to hold the stones. The only metal visible is what is actually used to hold the stones in place. The term pavé originated from the French word for paved or cobblestoned. 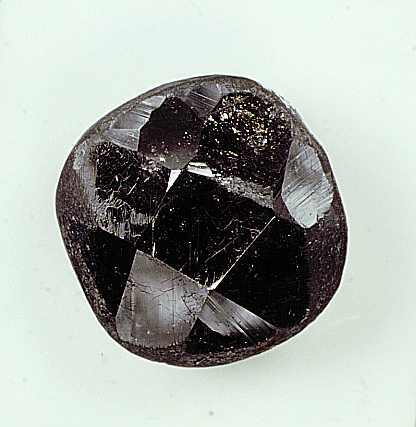 The faceted portion of the diamond which is below the girdle. A modified brilliant fancy cut diamond that is shaped like a tear drop with a rounded bottom and pointed end. Some of the largest diamonds in the world have been cut into pear shapes, like the 203 carat internally flawless Millinneum Star from De Beers. Because these diamonds are modified brilliant cuts, pear shapes often feature the traditional 58 facets; however the pavilion mains can have 4, 6, 7 or 8 facets, depending on the diamond cutter and the shape of the rough. Pear shape diamonds accentuate long, slender fingers and often appear larger than their carat weight would suggest. Recommended length to width ratios for a well-shaped pear diamond are 1.45-1.70. 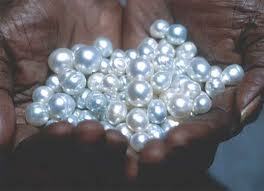 A pearl is an organic gemstone made from the calcreous concretions of mollusks. Pearls can be either saltwater pearls, which include the akoya, Tahitian and South Sea varieties or Freshwater pearls cultured in either China or the United States. The vast majority of pearls available on the jewelry market today are cultured pearls, meaning that human intervention forced the mollusk to begin laying down nacre over a bead nucleus or other irritant. Wild pearls, or natural pearls, are gems that have occurred without human assistance, usually due to a parasite or other irritant working its way inside the mollusk which then begins to lay nacre over it in concentric layers to smooth the irritant over. Peridot is August's birthstone and is a distinct greenish-yellow to olive or olive-brown color which intensifies due to the amount of iron content. The gem is found mainly in Afghanistan, the United States, Australia, Sri Lanka, Burma, Thailand and Pakistan, and it is even found in meteorites occasionally! It is a variety of the mineral olivine and rates a 6.5-7 on the Moh's Scale of Hardness. 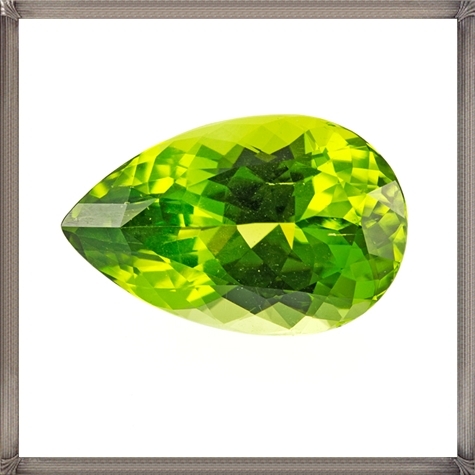 Peridot also used to be known as the "gem of the sun" during ancient Egyptian times. Another name for the cushion cut diamond, so called because of its smooth, rounded corners and square to elongated rectangular shape which resembles a pillow. Pin points are tiny inclusions found within a diamond, so called because of their size-- they are literally as small as a pin point. 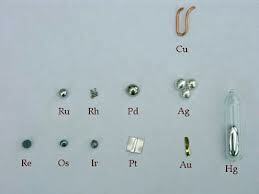 Typically pin points are made up of tiny diamond crystals that were forming within the larger diamond; however pin points can be other minerals like garnet and peridot as well. A cluster of pin points together make up a cloud. A natural white metal, platinum is known as a "noble" metal due to it's 95% purity, and is widely used in jewelry due to it's hypoallergenic properties. The term platinum comes from the Spanish word platina, which translates to mean "little silver". Platinum is a very rare metal; the largest deposits known and actively mined today are in the Ural Mountains of Russia, Colombia, South Africa and Canada. Platinum's hardness means that it is ideal for jewelry use; platinum does not lose any metal volume to scratches or polishing over time, so jewelry items will not thin out over the years as with gold. Platinum can be alloyed with either iridium, palladium or cobalt, although alloys with iridium tend to be the "whitest" mix and is easier for jewelers to work with. The ability of a gemstone to display two or more distinct colors when viewed from various angles. A weight measure equal to one one-hundredth of a carat. One carat is comprised of 100 points, and diamonds smaller than 1 carat are often referred to by their points; for example a half-carat diamond would be called a 50-pointer. A grade given to the external finish of a stone. The polish scale ranges from poor to excellent. 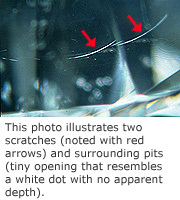 The picture at right shows faint polishing lines left behind on a diamond facet left behind from the diamond cutter. Developed in 1960 by diamond cutter A. Nagy of London, princess cut diamonds are based off the older French or Cross cut which featured a square table and a pavilion that was cut with several chevron-shaped facets that displayed a cross shape in the center of the gem. A. Nagy modified the faceting style in the pavilion by adding mixed brilliant cut facets to the pavilion, which allows the diamond to mimic the fire and brilliance of a round diamond. The second most popular diamond shape after the round brilliant cut, princess cut diamonds are perfectly square to nearly square with sharp 90 degree corners. 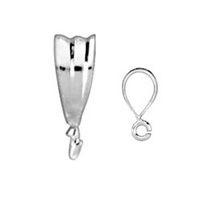 Prong Set is the use of metal wire to hold a gemstone in place by tension. A notch is cut out on the inside of the prong to seat a stone into its place. The prongs are pulled over the top of the stone to hold it. 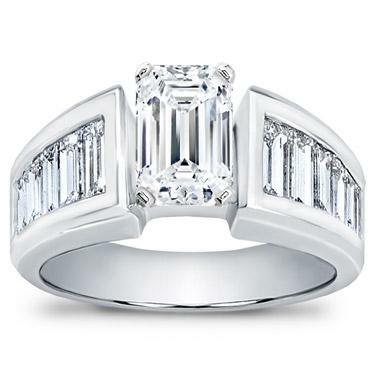 Quadrillion cut diamonds are princess cut diamonds. 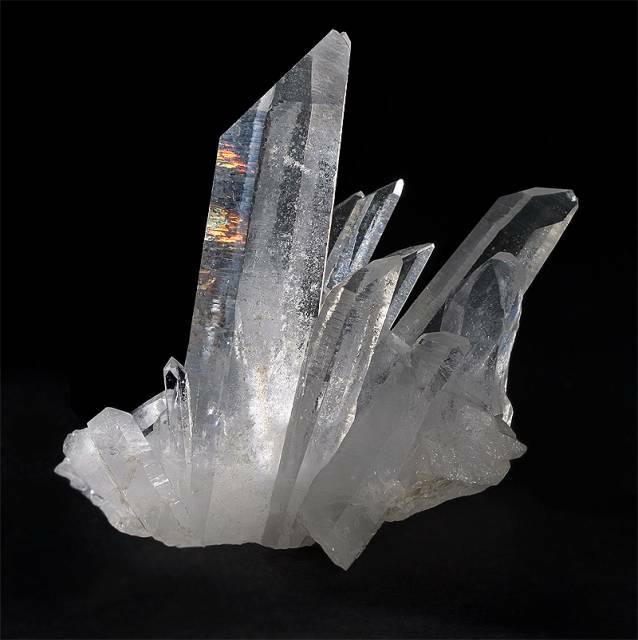 Quartz is one of the most abundant minerals on earth; the quartz family includes amethyst, rose quartz, smokey quartz, citrines, chalcedony, onyx, tiger's eye, ametrine, jasper, and agate. Rating a 7 on the Moh's Scale of Hardness, quartz is adaptable and suitable for a variety of jewelry settings. Radiant is a fancy diamond or gemstone cut characterized by a square to rectangular shape, clipped corners, and brilliant faceting style in the pavilion. Developed in 1977, radiant cuts have 70 triangular-shaped facets designed to mimic the brilliance and fire of a round diamond with the clean lines of an emerald cut. 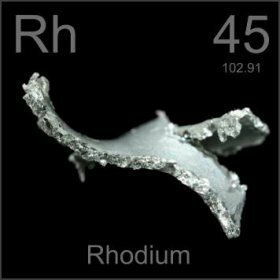 Rhodium is a pure white metal, part of the platinum family used to plate white gold or sterling silver and make the base metal a bright white tone with a high-polish finish. This metal coating should be reapplied once a year, or once every two years, to maintain the white hue and also to protect the base gold or silver metal from scratches and tarnish. Collective term for the shank and the head of a ring which contains no center stone. 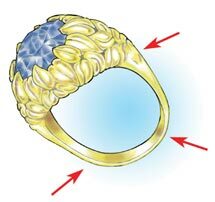 A measurement, generally between 4 and 13, determined by two factors: 1) the diameter of the finger on which the ring will be worn and 2) the knuckle, which the ring must slip over comfortably. Any necklace, typically featuring pearls, whose length reaches over 40-inches. Common rope lengths include 40-inch, 54-inch, 72-inch, and 100-inches. An antique diamond cut whose main features include a flattened bottom and a curved, domed top with either 12 or 24 triangles facets arranged symmetrically and coming to a point at the top. Rose cuts were developed in the 16th century, and are most often circular; a commonly seen variation on the rose cut is the briolette. Developed in 1919 by diamond cutter and mathematician Marcel Tolkowlsky, the round brilliant diamond cut was the first cut that used mathematics to determine the optimum placement and arrangement of facets to maximize brilliance, scintillation, and fire in a diamond. The round brilliant is still used today, and is also known as the American Standard. There are other variations on the round brilliant, and many diamond shapes such as the radiant, cushion cut, and pear shapes are all modified brilliant cuts, utilizing the faceting techniques that create fire and brilliance. The standard round brilliant cut features 58 facets (57 if there is no culet); 33 crown facets and 25 pavilion facet. 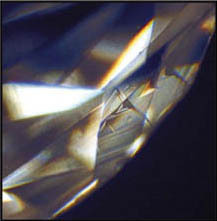 Modern faceting techniques and technology have improved over the years so that diamond cutters have been able to introduce additional facets into the pavilion, creating even more beautiful and fiery diamonds. One of the rarest gemstones in the world, rubies are members of the corundum, or sapphire, family and are known for their bright to deep red hues; essentially rubies are bright red sapphires and get their trademark coloring from chromium. Ruby rates a 9 on the Moh's Scale of Hardness, making this gem ideally suited for jewelry use. 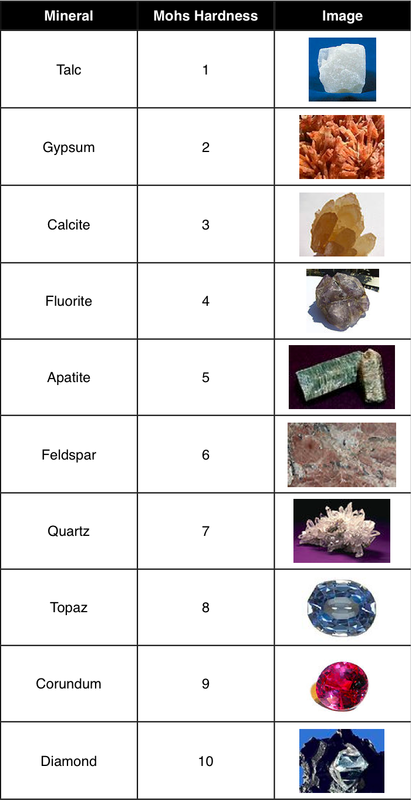 The only other gemstone in the world harder than rubies are diamonds. 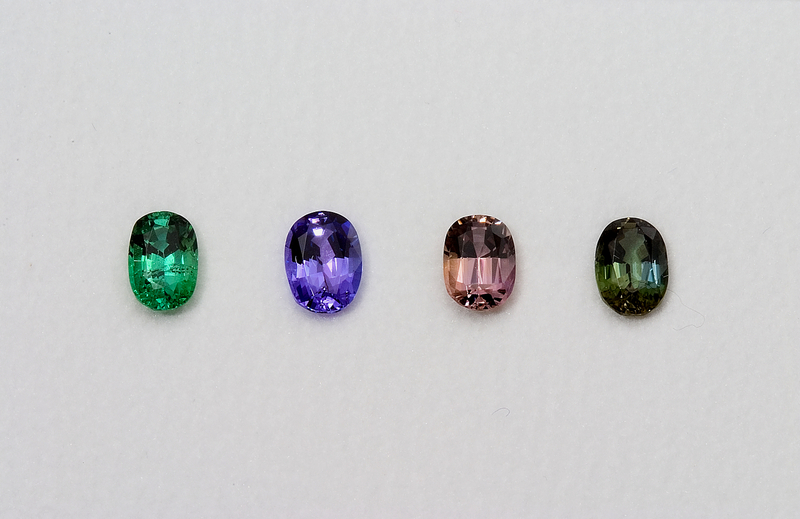 A rare precious gemstone, part of the corundum family which is found in all colors of the rainbow. Rating a 9 on the Moh's Scale of Hardness, sapphires are highly suited for jewelry purposes as well as many industrial uses. 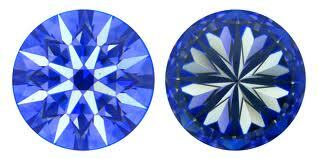 Sapphires get their color from trace elements such as iron, magnesium, titanium, chromium and other minerals. 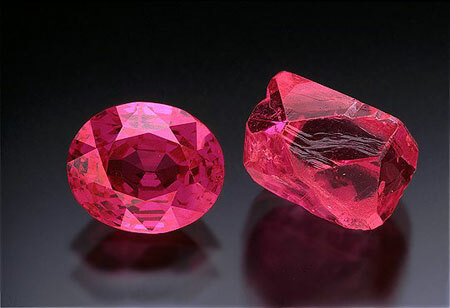 For example, varying degree of chromium turn sapphires pink; with higher concentrations, pink becomes red which turns the sapphire into a ruby. Iron and titanium combinations create blue sapphires, and iron creates yellow sapphires. Saturation is a term used to describe the depth and tone of a particular color. Also called intensity or vividness, saturation measures the degree which gemstones are tinted by grey or brown hues. Engagement rings set with only the side stones. The center stone is sold separately to accommodate the individual's preference in the size, shape, etc. of the stone. The part of the ring that encircles the finger. Strictly speaking, the shank of the ring does not include the head. A gemstone set alongside, or as part of a group of gemstones encircling a center stone. Silver is one of the most abundant metals on the planet. Found and mined nearly everywhere for centuries, silver's beauty and malleability have made it a metalsmith's favorite as silver can be worked into nearly anything imaginable- from jewelry to sculpture and art, to flatware and service dishes, gilding for art and architecture, and more. Today silver is used as a conducter in computers and as an alloy in gold mixes, along with other metals. Pure silver (.999) is too soft for everyday jewelry use, so it is made into Sterling Silver which is 92.5% pure and alloyed with 7.5% copper to enhance strength and durability. A type of chain featuring extremely tightly woven round metal rings that have a smooth, scaly texture. 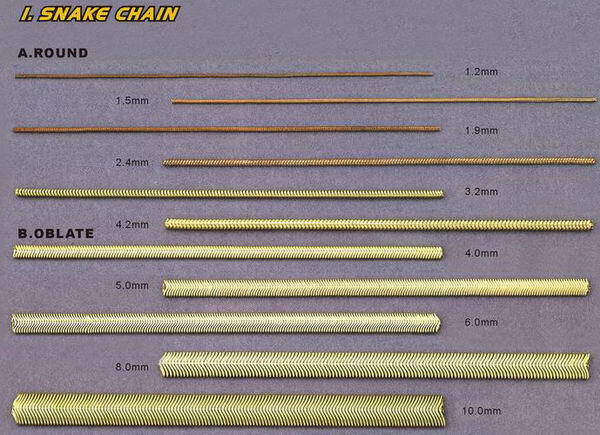 In smaller sizes, snake chains are known for being extremely shiny and very delicate as the links are so tightly woven that bending them the wrong way will result in kinks in the chain. A single diamond set in a mounting which shows off the simplicity and elegance of the diamond. Refers to the White and Golden saltwater pearl varieties cultured in the Philippeans and Northern Australia in the Pinctada maxima oyster, which can grow up to a foot in diameter. 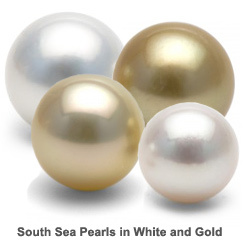 South Sea pearls feature a distinct, satiny luster due to their thick nacre, and they are prized for their natural golden, champagne and silvery-white hues. Their larger than average sizes also make these gems highly sought after; the pearls range from 8.0mm up to 21.0mm in size, with 11.0-16.0mm the average pearl size. Refers to the brilliance of a diamond or the amount of white light which returns to the viewer from the heart of the diamond. Spectrum refers to the rainbow of colors visible when white light is dispersed or broken up into its various wavelengths through a prism. A style of diamond cutting which creates a square or rectangular shape and utilizes straight, tiered facets to create a "hall of mirrors" effect. Step cuts are known for showcasing the clarity of a diamond over its fire due to its large open table facet. Popular step cut diamond shapes include the emerald cut, the asscher cut, and the kite. 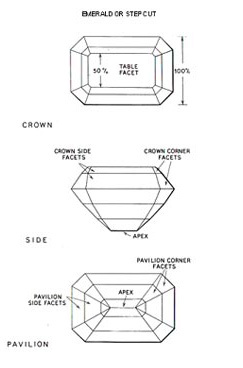 The overall uniformity of the cut of a diamond. Graded from poor to excellent, it is based on the diamond's proportions and the relation of one facet to another. Poor symmetry will hurt the sparkle of a diamond. 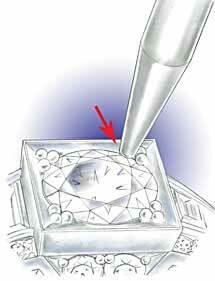 The largest facet on a diamond, located on the top of the diamond and facing out from the setting. Table percentage is a formula used to describe the table's proportionate surface area relative to the rest of the gem's facets, and it is an important indicator of how well a diamond will sparkle or display brilliance. The table percentage is calculated by dividing the length of the table by the total diameter. For example if the length of a diamond's table facet is 6.0mm and the total diameter of the diamond (measured at its girdle) is 10.0mm, then the table percentage of the diamond would be 60%. Tahitian pearls, also known as black South Sea pearls, are the naturally black and grey-colored saltwater pearls cultured in the lagoons and atolls of French Polynesia. A relatively new addition to the cultured pearl world, Tahitian pearls were first popularized in the late 1970's and have since been recognized by jewelry lovers around the world as unique, distinctive pearls. Ranging in size from 8.0-18.0mm, Tahitian pearls are known for their large sizes and their trademark rainbow-colored overtones such as Peacock, Aubergine, Blue-Green, Cherry, Silver, Steel, Pistachio, and more. The largest Tahitian pearl producer in the world, Robert Wan, supplies the majority of fine Tahitian pearls to the jewelry industry today. Tanzanite was originally discovered in Tanzania, Africa in 1967 near the base of Mount Kilimanjaro. Originally named and marketed by Tiffany & Co., in the late 1960's through the 1970's, Tanzanite became extremely popular to jewelry lovers everywhere in the late 1990's. Part of the zoisite family of gems, untreated Tanzanite is found in shades of reddish-brown, but also yellow, green, and blue. 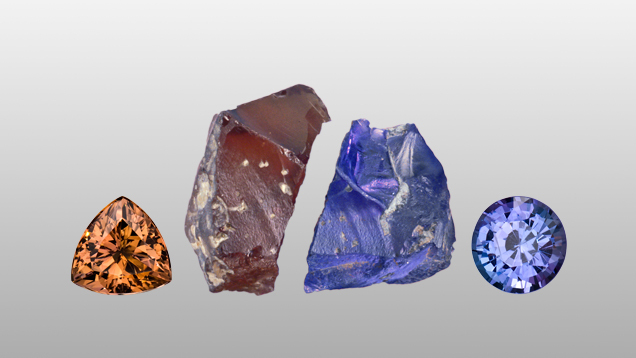 The distinctive violet-blue, blue-violet, and amethyst colors are produced by means of heat treatment. Tanzanite rates a 6.5-7 on the Moh's Scale, and is best set in pendants and earrings where the gem is better protected from knocks and bumps. Tanzanite was officially adopted as December's alternate birthstone. The most famous Tanzanite is known as the Queen of Kilimanjaro, which weighs 242 carats and is a squarish cushion cut shape mounted with tsavorite and diamond accents. A type setting technique that holds the diamond or gemstone in place by tension alone, without prongs or basket. The look is very intriguing but has been found to be unstable and should be avoided if possible. Tone refers to the amount or depth of color a gemstone displays; whether a gemstone appears very pale and washed out or so dark as to be opaque. Generally tone is describes the lightness or darkness of a hue. 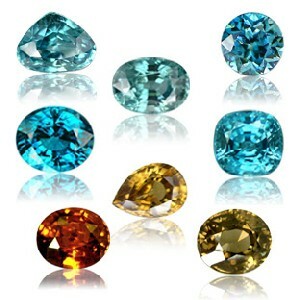 Topaz is a semi-precious gemstone that comes in a variety of colors. Common colors include gold, yellow, yellow-orange, brown, pink, peach, red, purple, greenish-blue, and blue, although the blue topaz variety is often heat treated or irradiated to bring out the popular color. Topaz scores an 8 on the Moh's Scale, making it an extremely durable gem ideally suited for jewelry of all kinds; however care should be taken to avoid hard blows as the crystalline structure has a tendency to cleave. The gold and orange varieties of Topaz are November's birthstone, and the blue varieties are a substitute for December's birthstone. Mined mainly in Brazil and Namibia, Topaz has been found all over the world, making it a popular and prized gemstone for centuries. Tourmaline is a semi-precious gemstone found in every color of the rainbow, and it is mined all over the world with the finest examples coming from Brazil, Sri Lanka, Africa, as well as California. This gem rates a 7.5 on the Moh's Hardness scale, making it ideal for jewelry of all types. Pink tourmaline is October's birthstone, along with opal. The ability of certain gemstones to display three distinct colors when viewed from various angles. Trigons are triangular shaped indentations found on the surface of or within a diamond due to twinning or other growth irregularities of the crystalline structure. 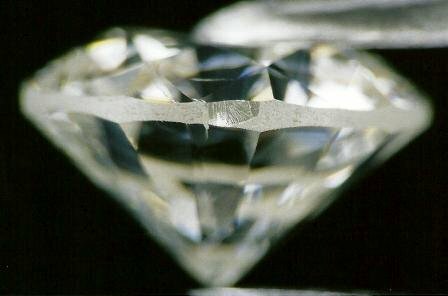 A triangular shaped, modified brilliant cut diamond often used as accent stones to the center diamond; trillions are traditionally sold as matched pairs. Also known as the triangular brilliant cut, the trillion is a generic name for a non-branded, non-trademarked triangular cut. Branded names such as Trilliant, Tri Star, and Trielle have all been used in the past to describe similar cuts. Typically featuring 44 facets, the shape of the trillion cut is triangular, with the edges slightly rounded or bowed out. Suggested length to width ratio is 1.12. December's alternate birthstone, turquoise has been mined for centuries all over the world, although the very finest examples are known to come from Iran and the Southwestern United States. Persian turquoise (also known as Sleeping Beauty turquoise) is famous for it's bright blue hues and clear, unblemished surfaces, with very little to no black or brown veining. US turquoise often displays black or brown veins which comes from limonite deposits in the turquoise's matrix. 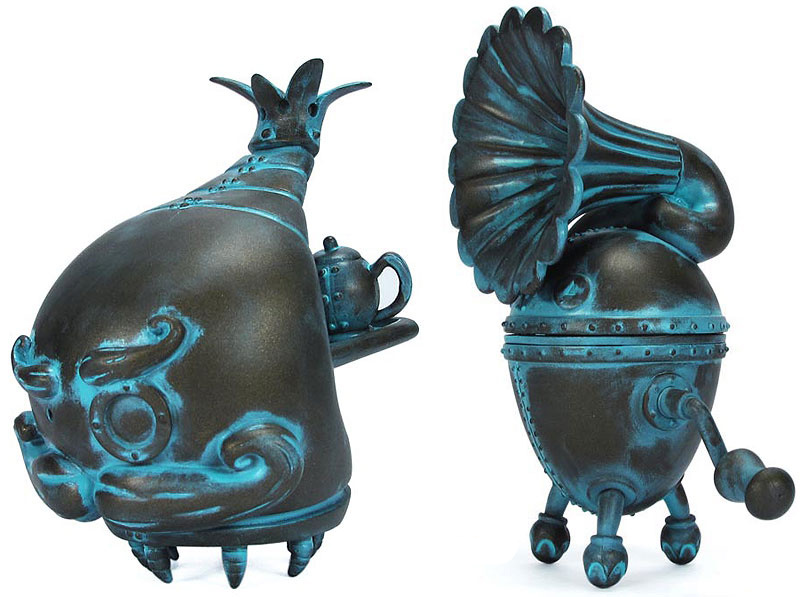 Turquoise is opaque and rates a 6 on the Moh's Scale of Hardness, so it is easy to scratch. The most traditional colors are intense blue-green, sky blue, greenish-yellow and yellowish green; the blue hues are attributed to the presence of copper, while the green and yellow hues come from additional traces of iron. The name Turquoise is thought to come from the French word for Turkish, as it was the Turks who first brought the precious gems to Europe for trade in the 16th century. The growth of two or more diamond or precious gemstone crystalline forms within the same structure, i.e. an amethyst that has a new, minerally identical structure emerging from the original crystal due to changes in temperature, pressure, and flow that occur while the crystals are forming. 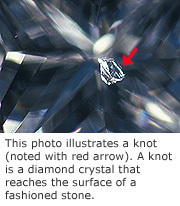 Two inclusions found within a diamond that have twisted together; inclusions capable of becoming a twinned wisp are crystals, pin points, needles, and clouds. 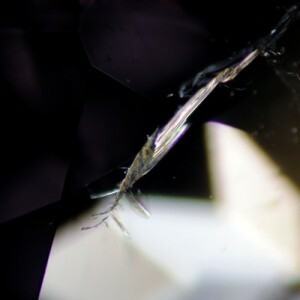 These inclusions appear to the viewer as a white stripe within the diamond (under 10x magnification). Twinning wisps occur most often in fancy diamond shapes like the heart of the pear as those shapes are cut from rough that usually features twinned crystals; however they can and do occur in other diamond shapes. A jewelry cleaning device that cleans jewelry through ultrasonic waves. The high-speed agitation and heat allows dirt and residue to come loose without a large amount of manual labor such as cleaning with a toothbrush. 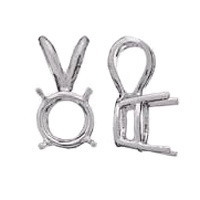 While made originally for jewelers to use, smaller versions are now available to use at home. There are many gemstones that cannot be placed in an ultrasonic such as emeralds, rubies, and pearls. A gemstone that has not had any kind of enhancements. The upper girdle facets are 16 in number and are located on the crown of the diamond directly adjacent to the girdle, going all the way around the circumference of the diamond and meet each star facet at its point. They are pyramid-shaped and segmented into two right angle triangles that are slightly curved on the bottom. The greenish coating/discoloration due to age found on many antique/estate costume jewelry items that have a brass base, usually due to improper storage and exposure to moisture. A 22k or 24k gold plating over another metal, usually sterling silver and less often, bronze. 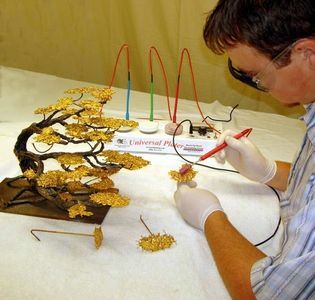 The illustration at right depicts an artisan using a gold plating device. The Vickers Hardness Test is a test used to measure the hardness of metals invented in 1921 by Robert Smith and George Sandland of Vickers, Ltd. The Vickers Test employs a pyramid-shaped industrial diamond which, when born down on a metal, will leave an imprint of varying depth depending on the hardness and resilience of the metal. It is then used to determine a particular metal's relative hardness. The time period describing when Queen Victoria ruled England, from 1837 to 1901. 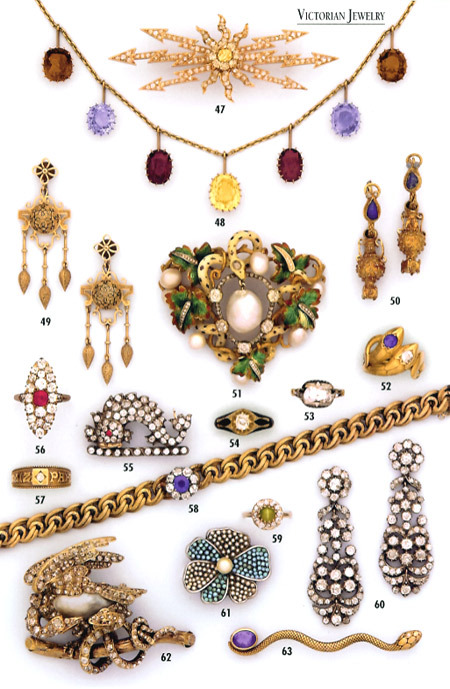 Victorian may refer to architecture and jewelry design among other cultural inventions of the time, and it is usually characterized by ornate, intricate designs. The star and crescent were very popular themes during the Late Victorian period, from 1885-1900. Refers to a gemstone's luster which closely resembles glass in look and form, and classifies nearly 70% of all gemstone varieties. The Amazonite gemstone at right is an excellent example of vitreous luster. 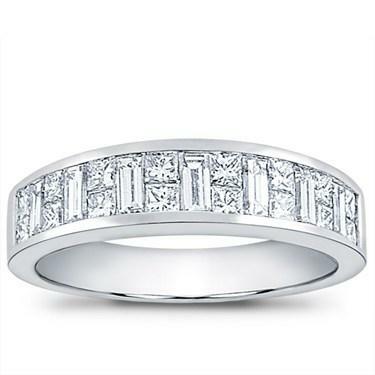 The matching plain or diamond accented band that goes with the diamond engagement ring. Often, these rings feature notches tailored to the base of the engagement ring so that the two rings fit flush together; sometimes the two are soldered together to prevent wear and scratches. 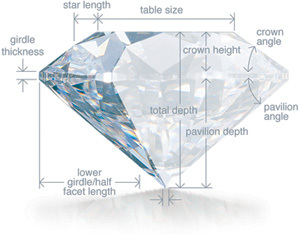 The mathmatical expression of a diamond's weight in proportion to it's diameter or millimeter size. A wheat chain is a type of chain that features oval and twisted oval links intertwined together to create a 3-dimensional, almost rounded chain style. White gold is created by alloying pure 24k gold with copper, silver, and nickel in certain percentages to create a silvery-white color. 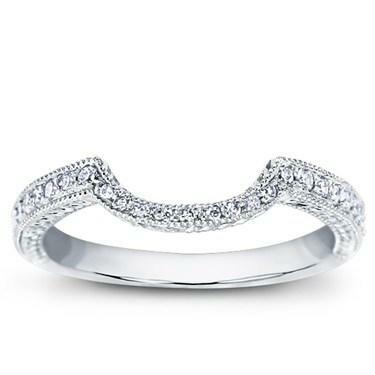 White gold may be 10k, 14k and 18k in purity. Because 24k gold is pure, un-alloyed yellow gold, there is no 24k white gold and there is no 22k white gold available. White South Sea pearls are cultivated primarily in Northern Australia in the Pinctada maxima saltwater oyster, silver-lipped variety. These pearls are known for having large sizes which range from 8.0-21.0mm, with an average of 11.0-16.0mm or so. Their natural white color often displays overtones of subtle rose, silvery-blue, or cream. Their luster is known to be on the softer, more satiny side. 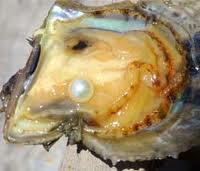 The silver mantle or lip of the oyster determines the color of the pearls. The measurement of the widest area of an item of jewelry expressed in millimeters. An area of the faceted diamond that allows light to leak out rather than reflecting and refracting it back to another facet. In gemstones, a window refers to the pavilion of the gemstone which appears transparent, also known as a "fish eye". When viewed from the top (the table), the gemstone appears to have very little faceting on the bottom; usually this issue can be remedied by mounting in a ring or pendant setting. 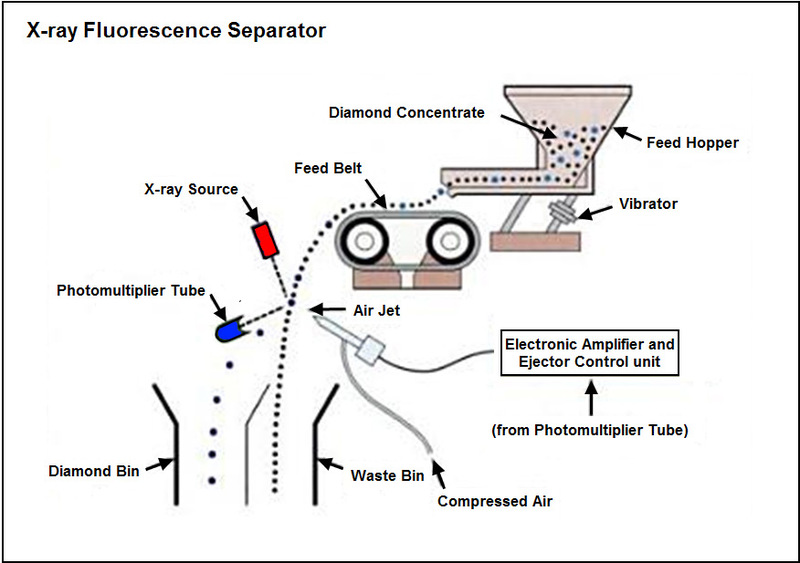 X-rays are often used to sort through rough diamonds due to their ability to fluoresce light blue, making sorting and locating rough diamonds within the mined gravel easier. An acronym for Yellow Gold Filled, it refers to a type of metal that is a base alloy, usually brass that is then coated with a thin layer of gold on the outside. 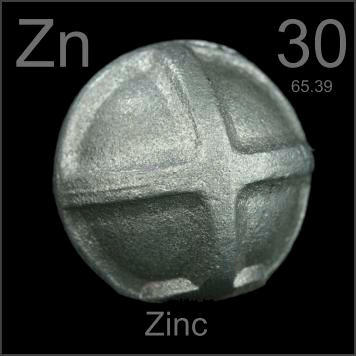 Zinc is a blue-white metal that is used as an alloy in white gold, along with silver, nickel and palladium. Zircon is a gemstone found all over the world, but mined primarily in Sri Lanka, Vietnam, Cambodia, and Thailand. 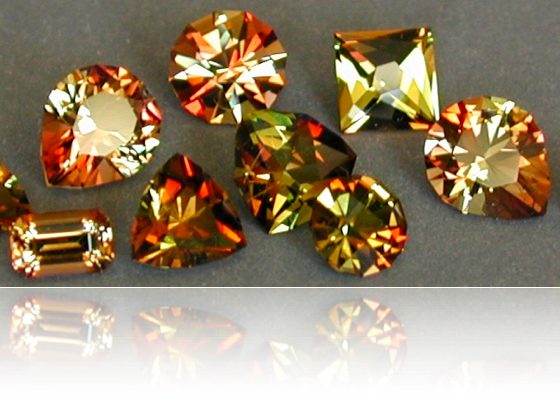 It is available in nearly every color of the rainbow including transparent and was often used as a diamond substitute during the Middle Ages, although the most popular shades in modern days are blue, green, and earthy colors like orange-red and brown. Blue zircon is an alternate birthstone for December. Cubic zirconia, also known as a CZ, is a synthetic, man-made diamond first commercially distributed in the 1970's; they are created by melting a powdered form of zirconium and zirconium dioxide together at 4,982ºF. 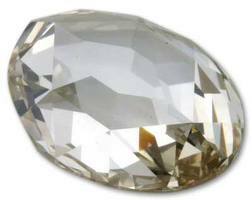 Cubic zirconia rates an '8' on the Moh's Scale of Hardness (as opposed to the diamond's 10), is colorless, and reflects white light at about the same rate or higher than that of a diamond. Cubic zirconia also has a higher dispersion rate, meaning that they often appear more fiery. 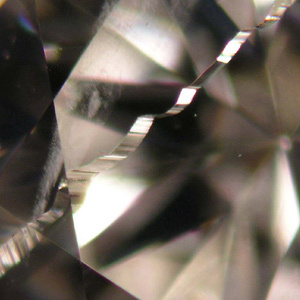 Unlike diamonds, CZs are always flawless, and most often are created to be perfectly colorless, or a 'D' on the color grading scale. Zoisite is a transparent to yellowish to purple-blue gemstone found primarily in Africa, Northern Europe, Pakistan and the Pacific Northwest of the United States. Varieties of this precious gemstone, when heated, turn a striking blue-purple to purple-blue hue. These varieties are known as Tanzanite which was popularized by Tiffany's in the late 1970's. Zoisite is vitreous in luster, and rates a mere 6 on the Moh's Scale of Hardness; jewelry is often made of this gemstone family, but much care should be taken to avoid knocks and bumps as this mineral fractures easily and unevenly.